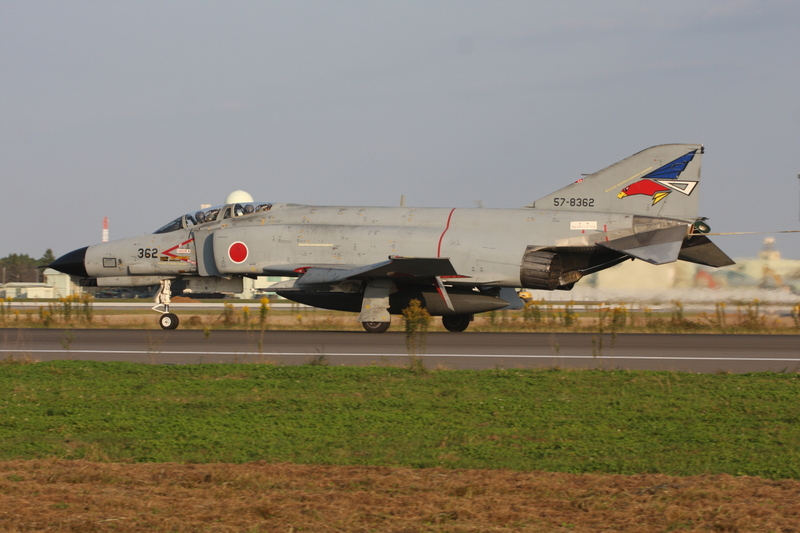 In October 2009 me and three other guys visited Japan for a week. 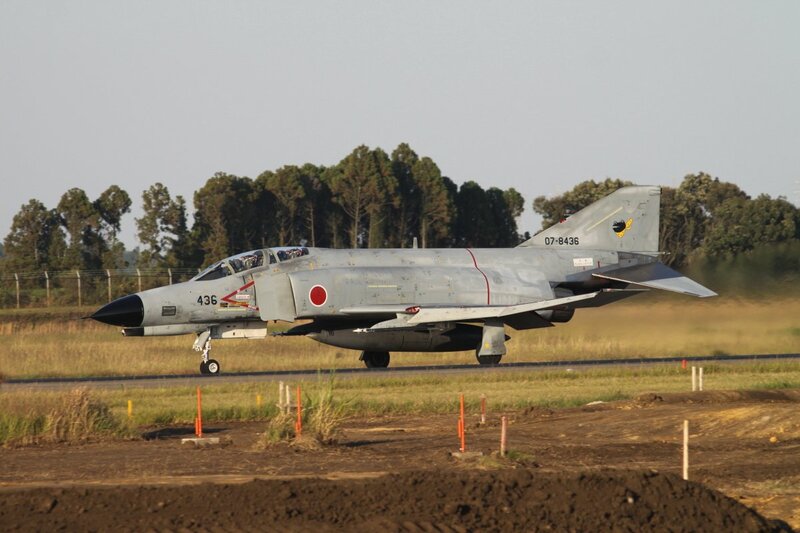 A rather short stay in a country which offers so much to see when it comes to aircraft and where distances between the different airbases, require a lot of time to be spend in the car. 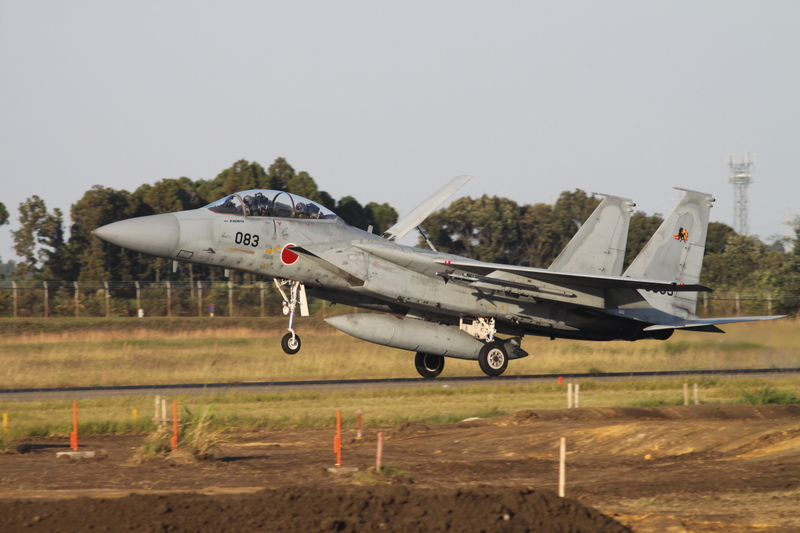 So, during this Japan trip only a few fields were on our list. 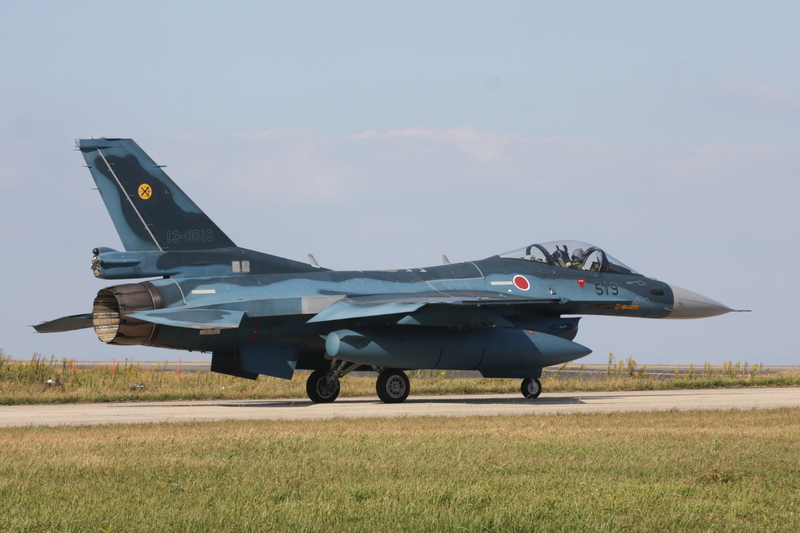 After arriving at Narita Airport on Saturday, we headed south for our first destination: fightertown Nyutabaru, which is located on the southern Island of Kyushu, north of the city of Miyazaki. 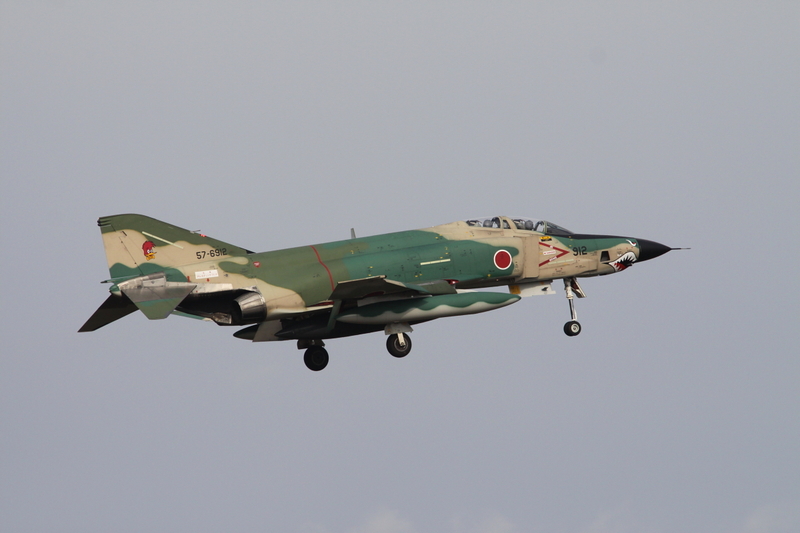 After a long drive, and a stop for a small scale (helicopter) air show at Metabaru, we arrived in Myazaki on Sunday. 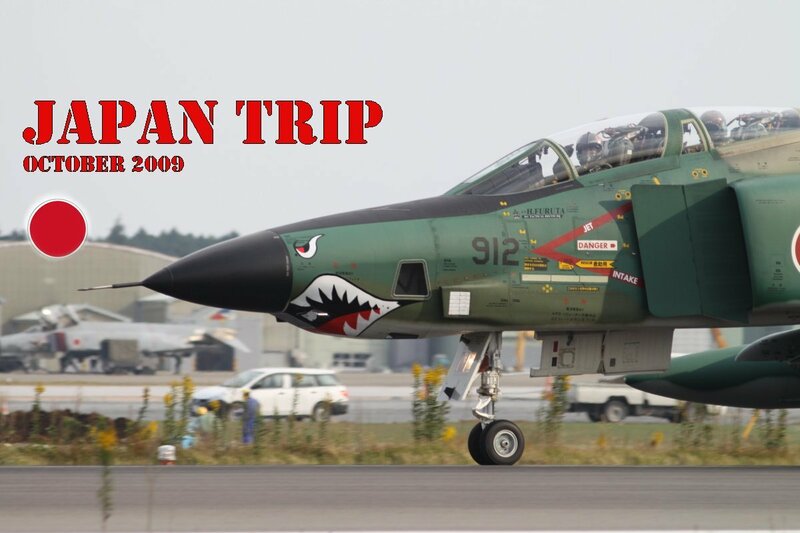 After enjoying our meal in a Japanese sushi restaurant and spending the night in our hotel, we were ready the next morning for the things to come. 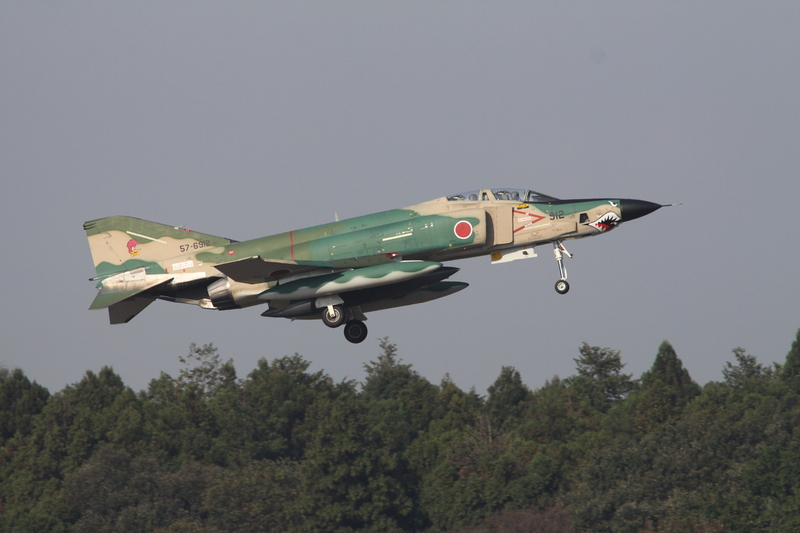 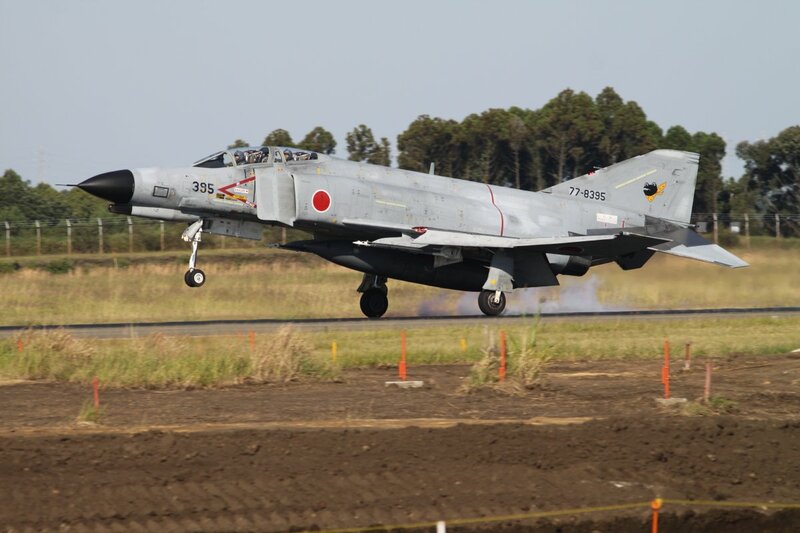 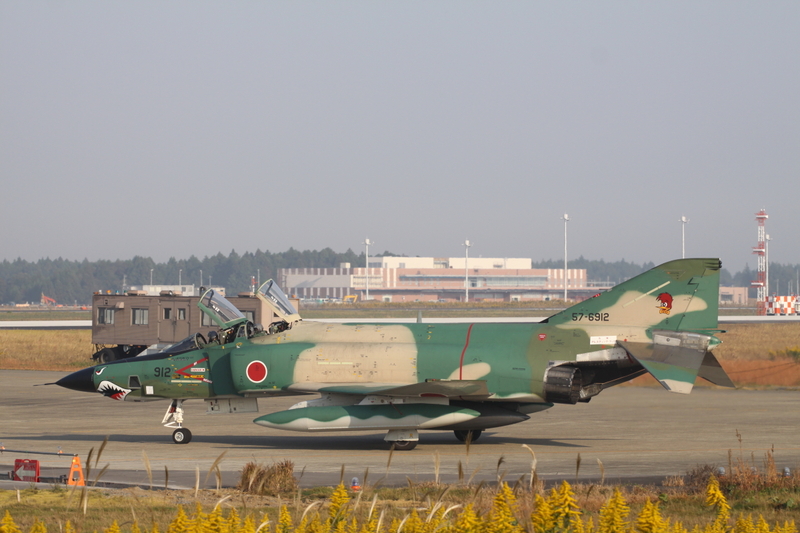 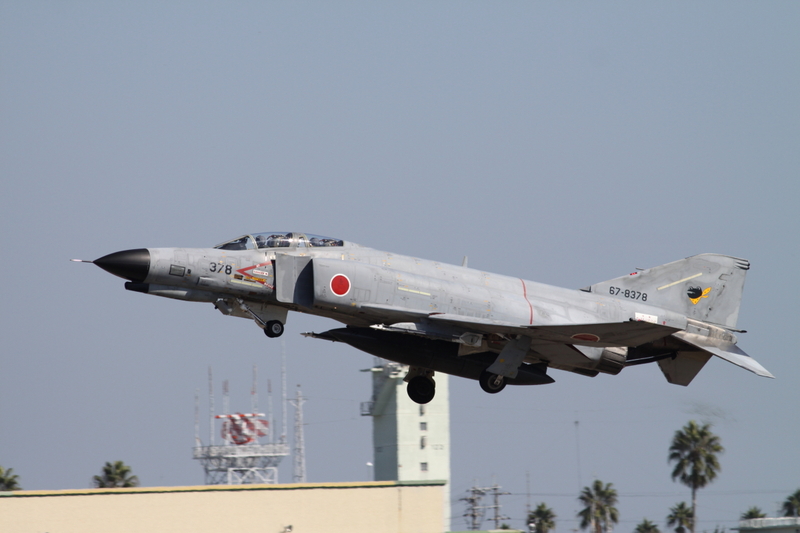 Nyutabaru is the ‘Home of the Japanese Fighter Pilot’ with the OCU (Operational Conversion Unit) for the F-4 and F-15 and the ‘Hiko Kyodotai’ (the Japanese Aggressor squadron) based there. 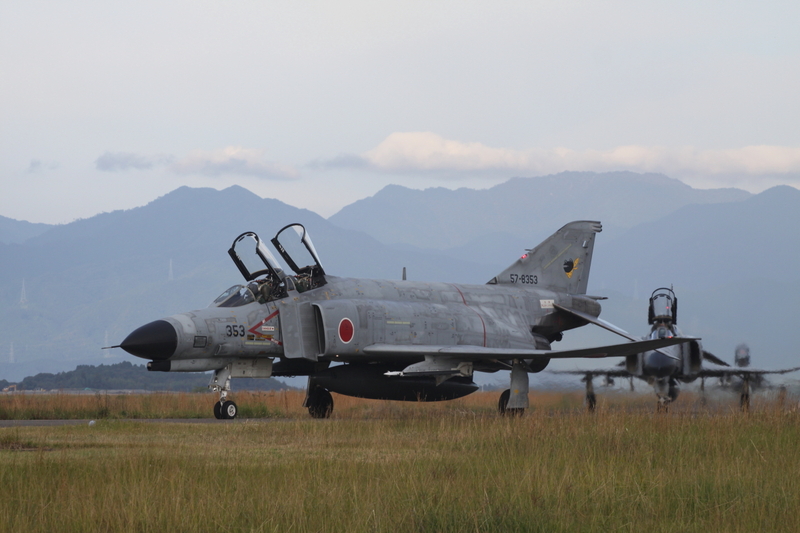 There are great locations for photographers at Nyutabaru and we started in the early morning at the fence alongside the taxiway. 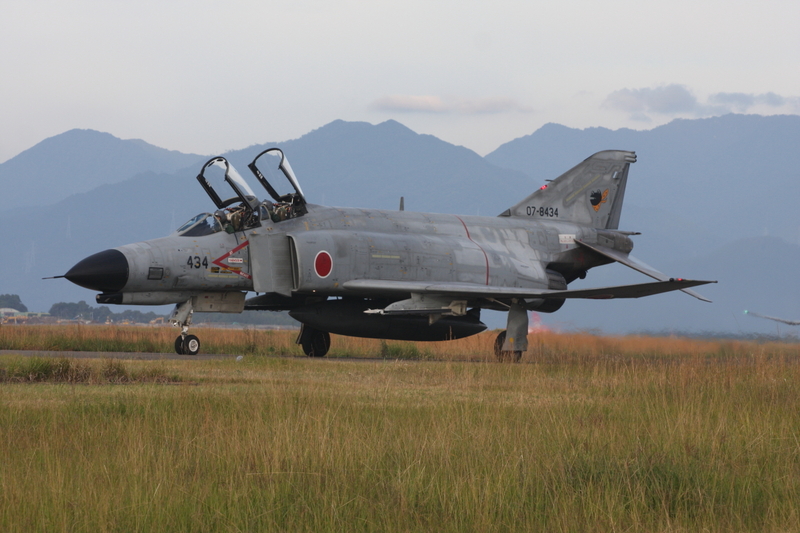 A well known spot to every aircraft photographer who has been at Nyutabaru. 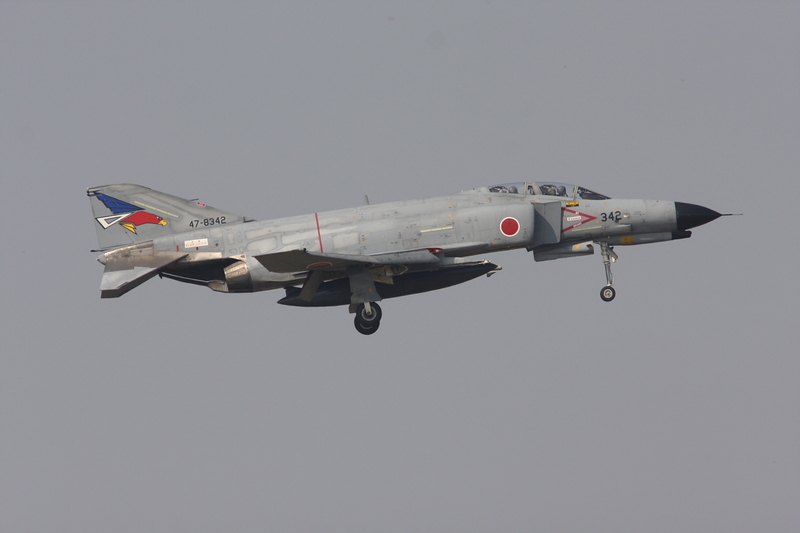 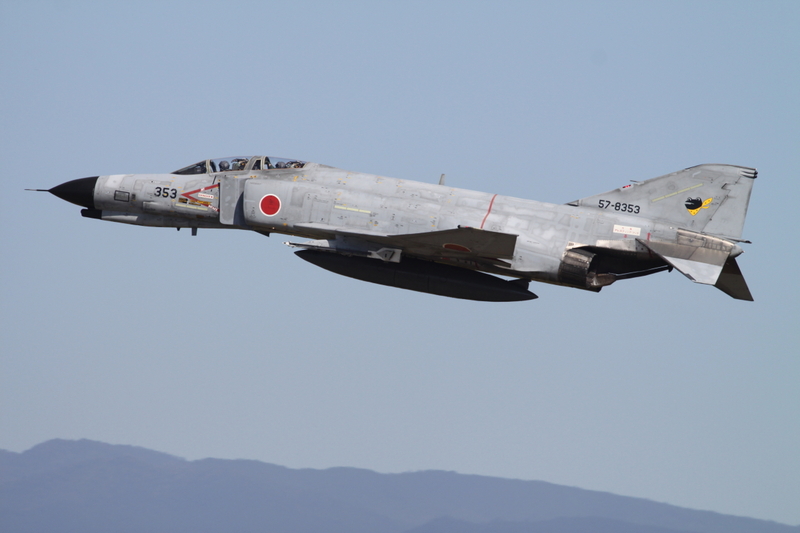 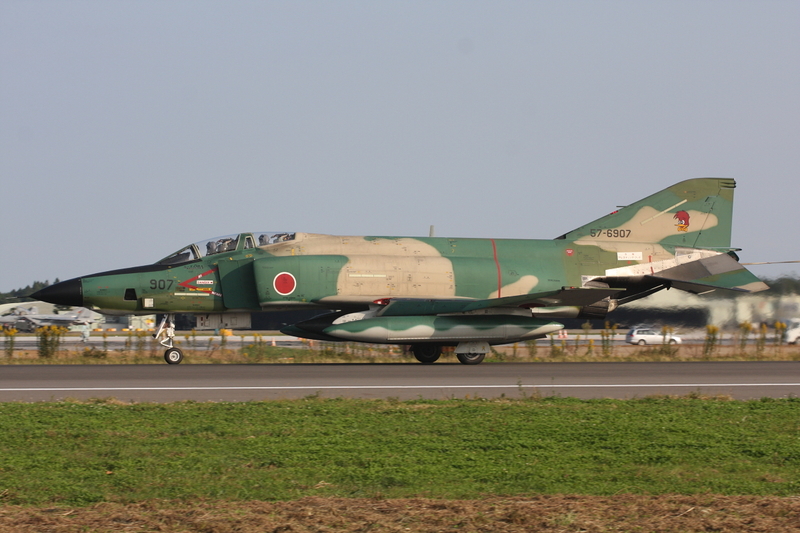 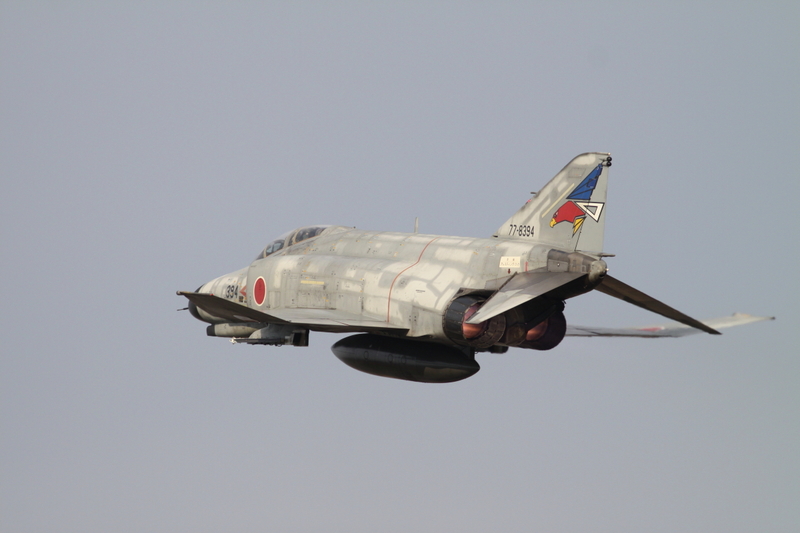 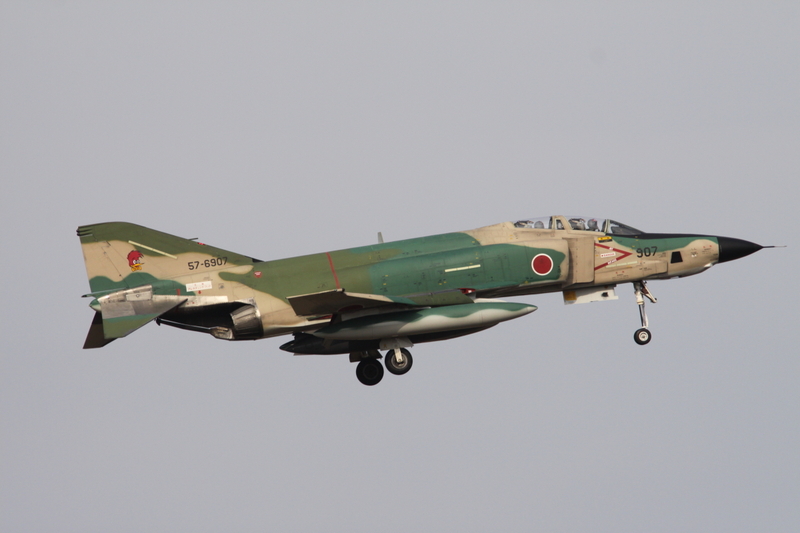 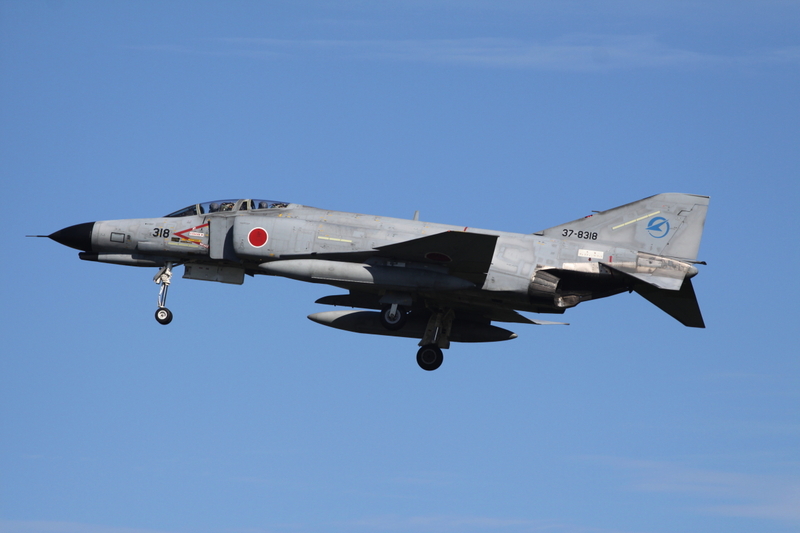 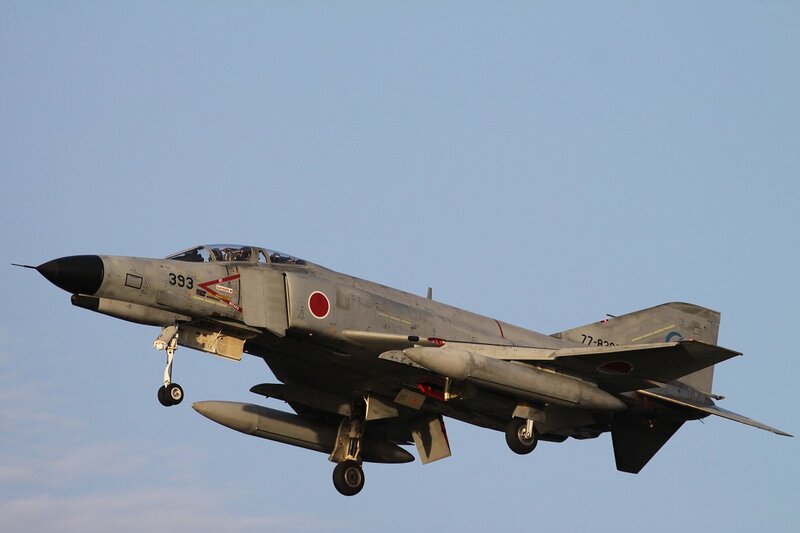 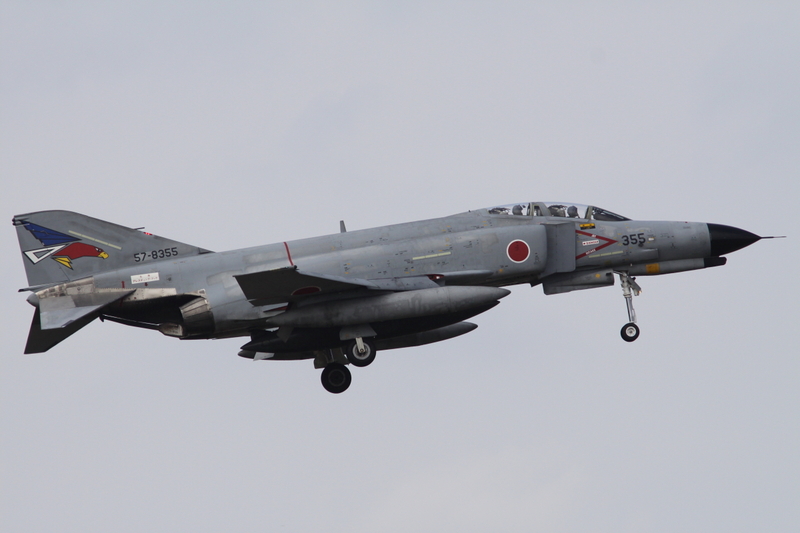 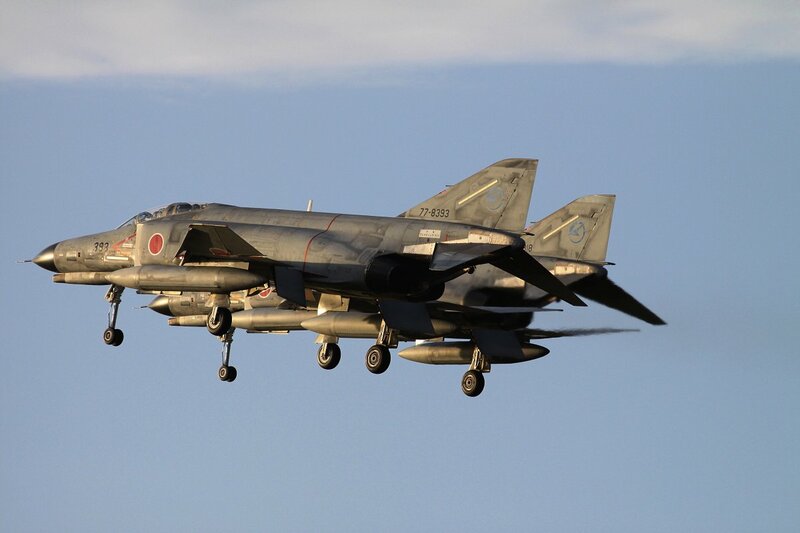 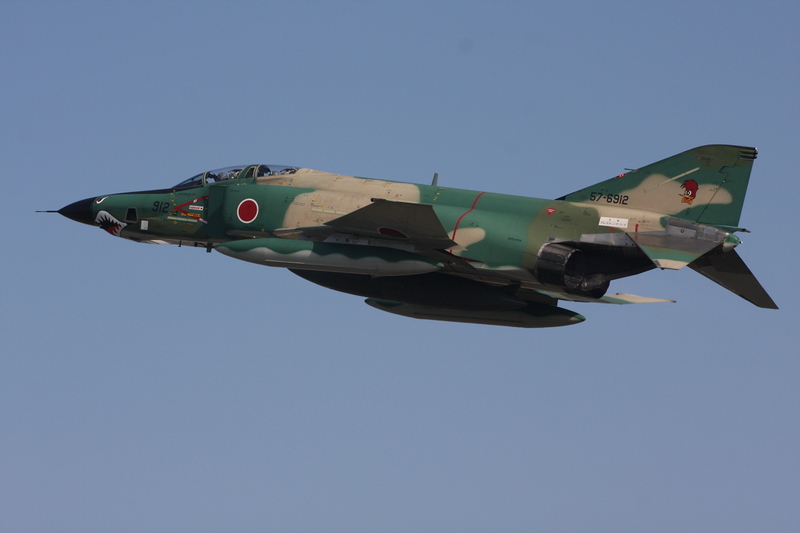 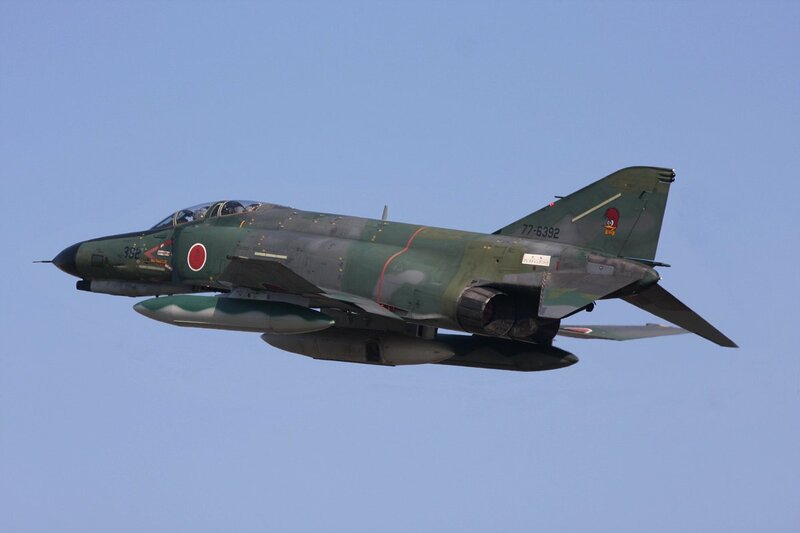 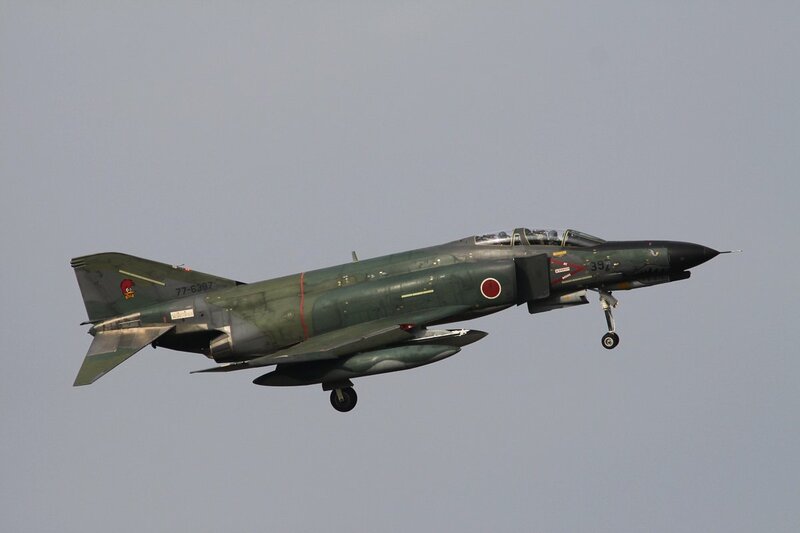 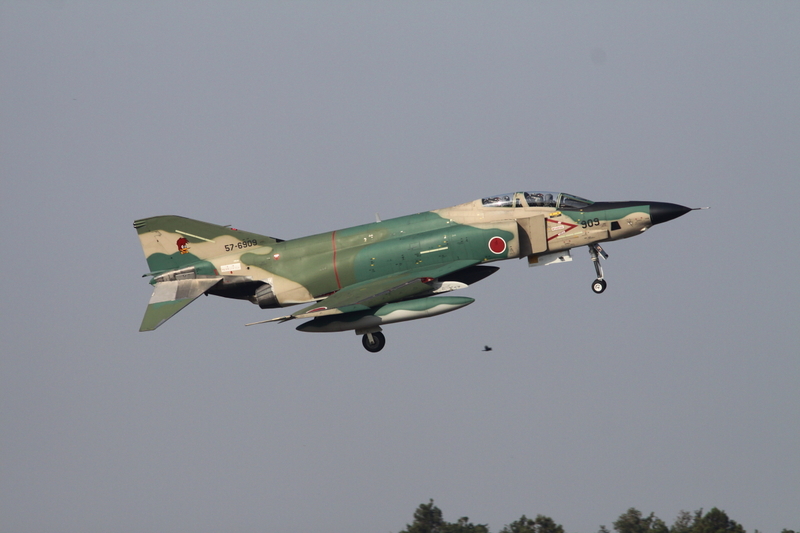 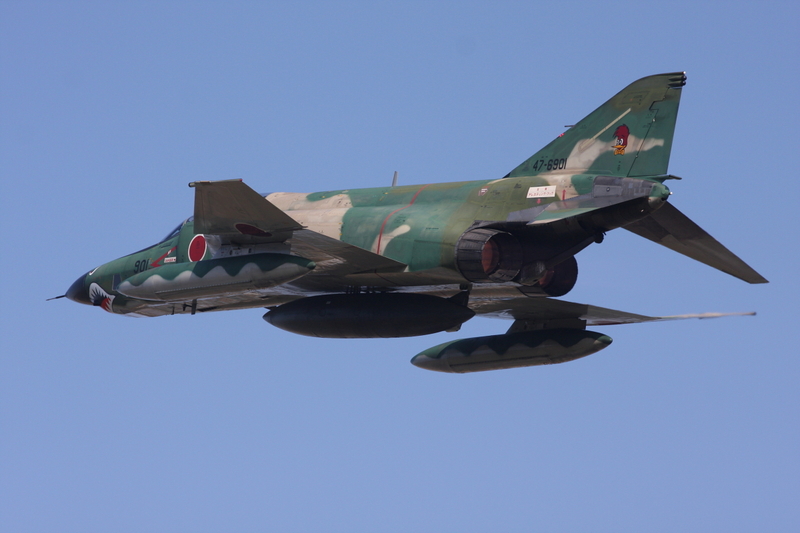 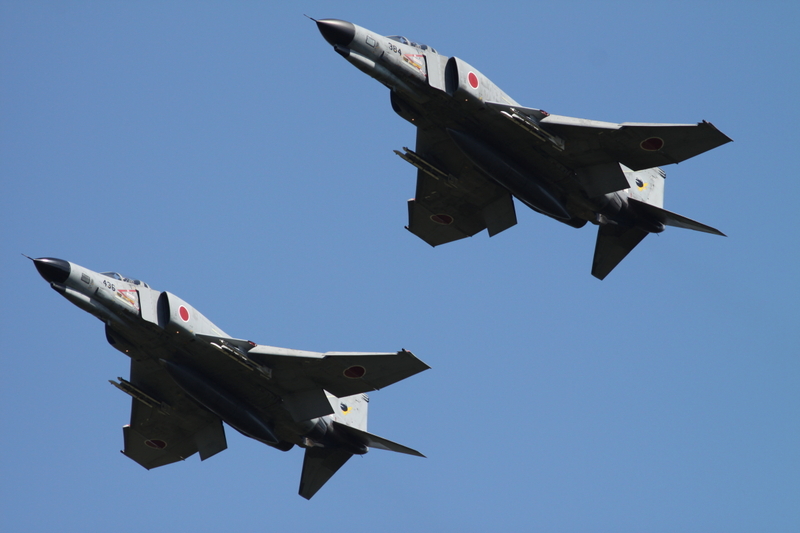 And here I had my first encounter with Japanese Phantoms. 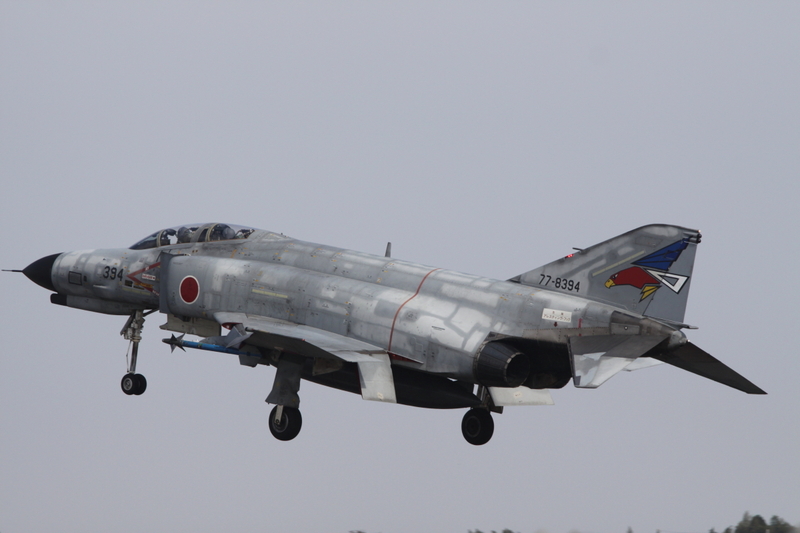 A great experience I must say. 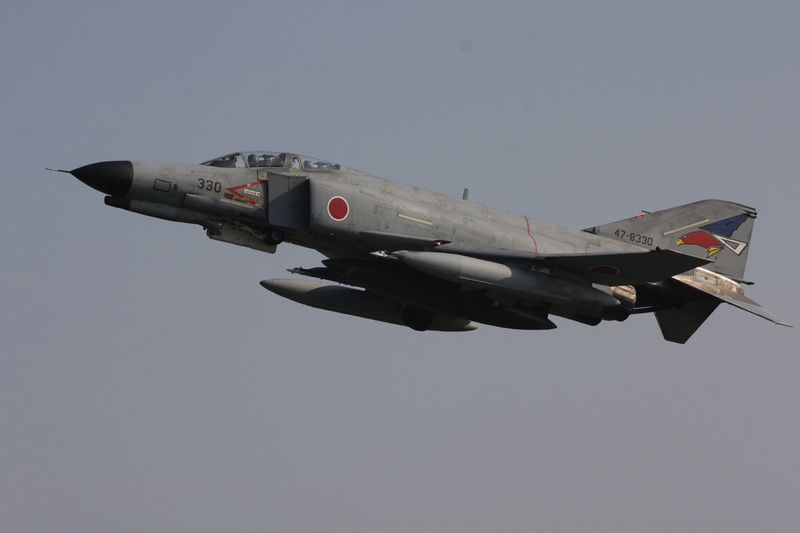 The flying was good: all day wave after wave of F-4s and F-15s kept us busy. 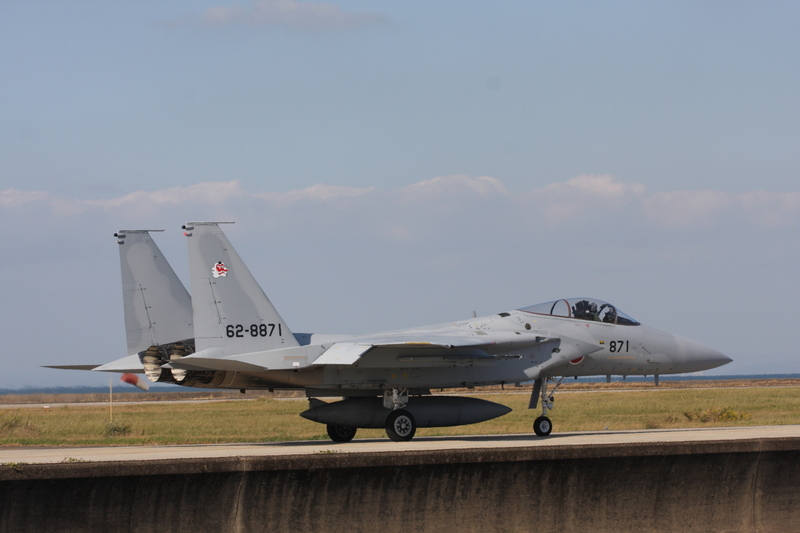 Unfortunately, only one Aggressor F-15 (the brown coloured 068) showed up, but at least we had one. 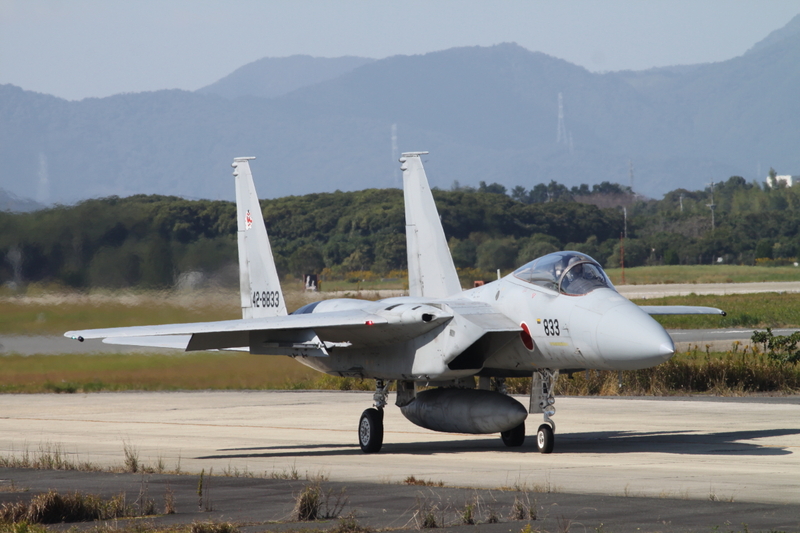 The end of the day we decided the score was more than what we had expected, so we left for our next destination. 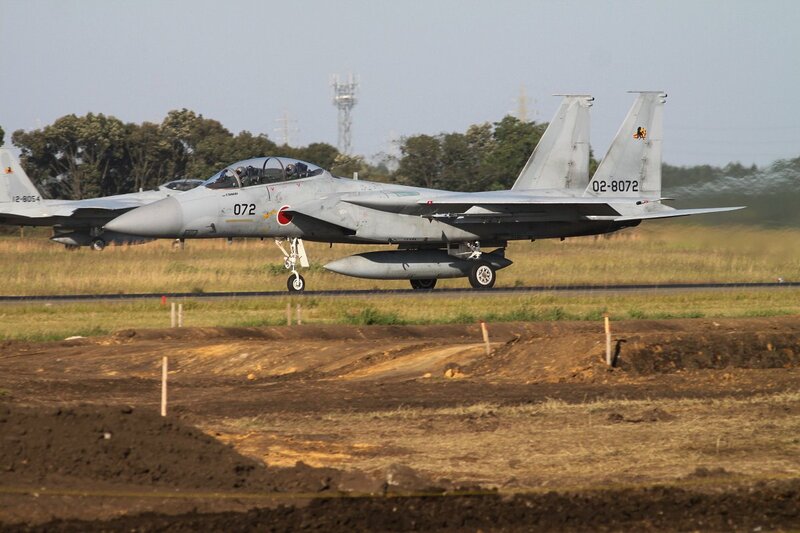 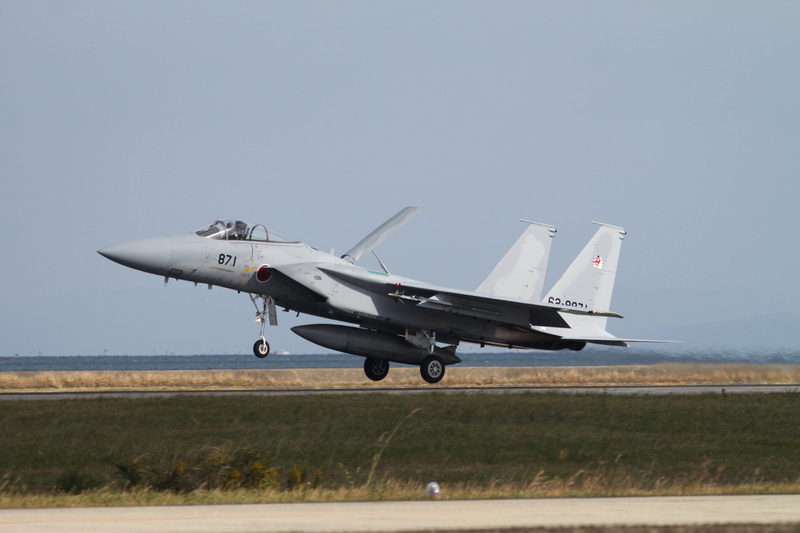 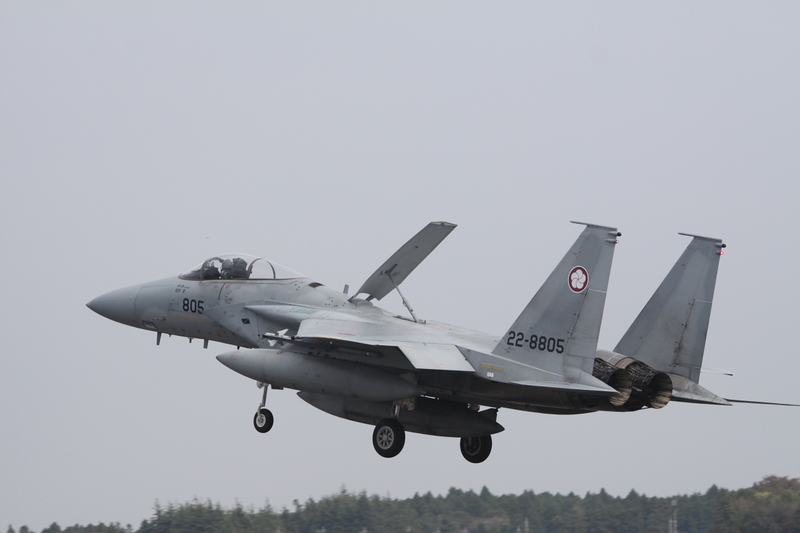 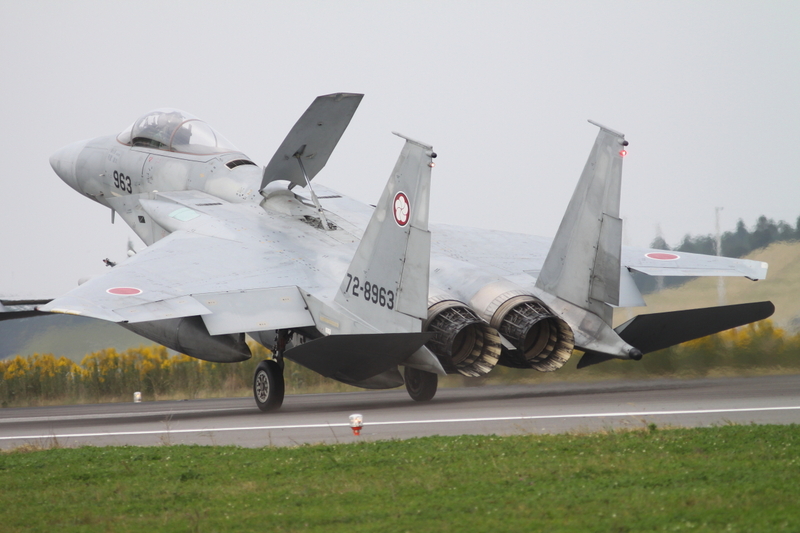 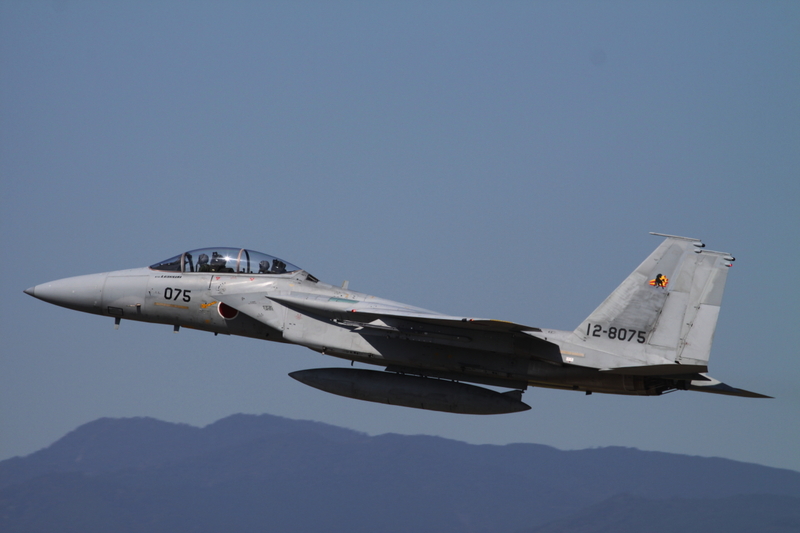 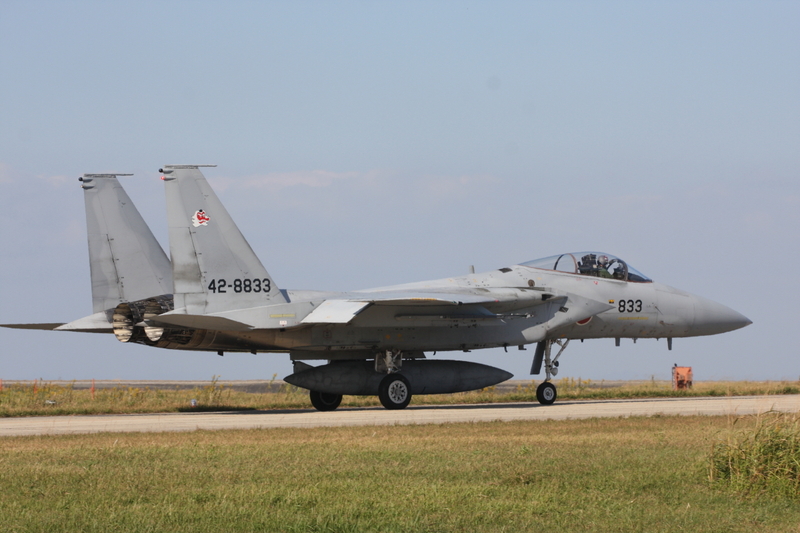 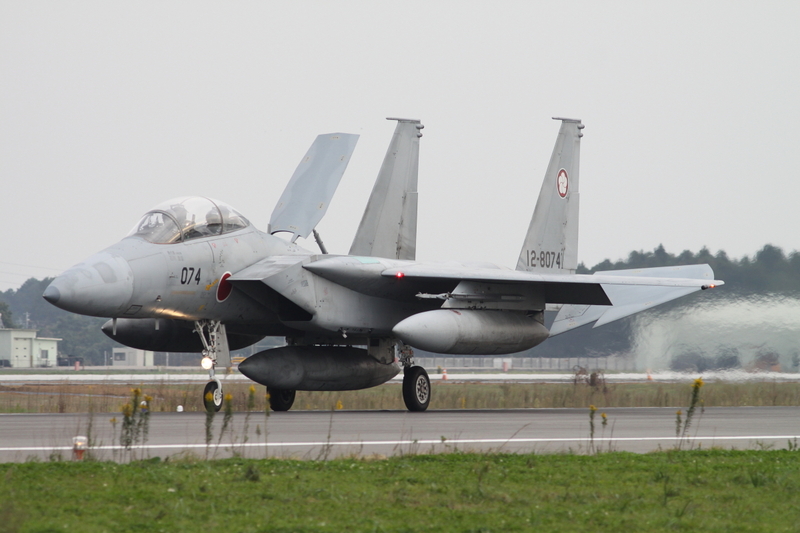 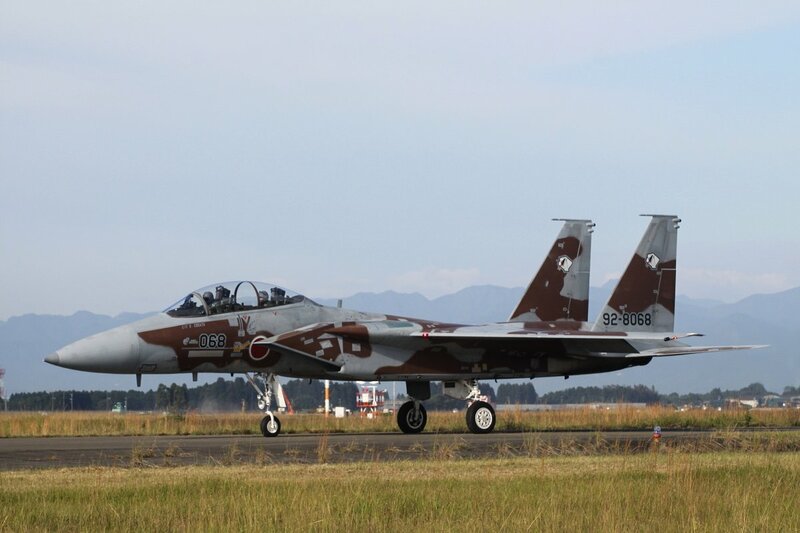 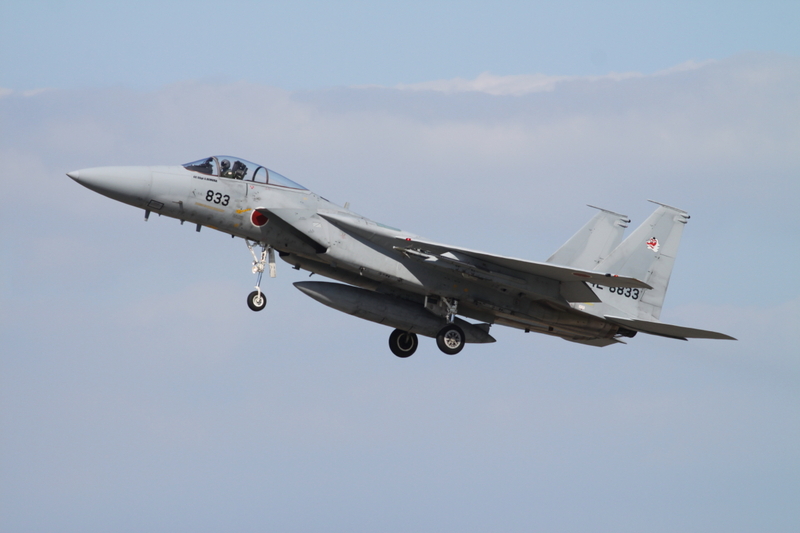 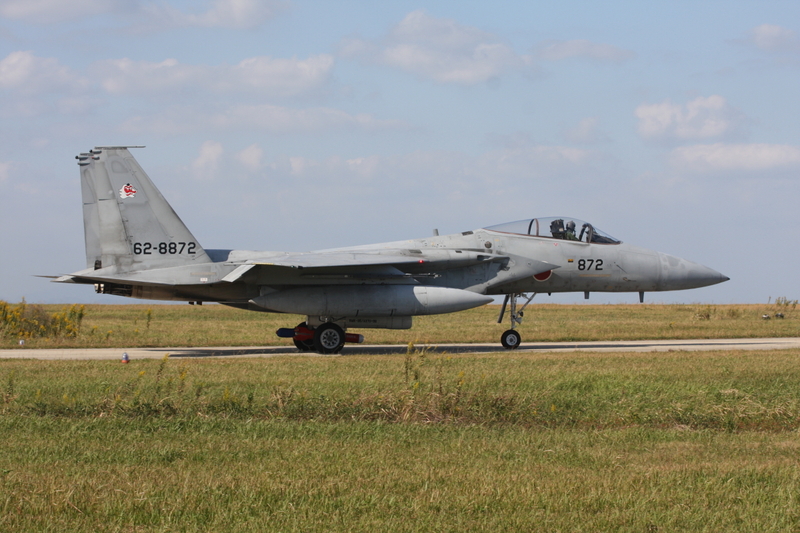 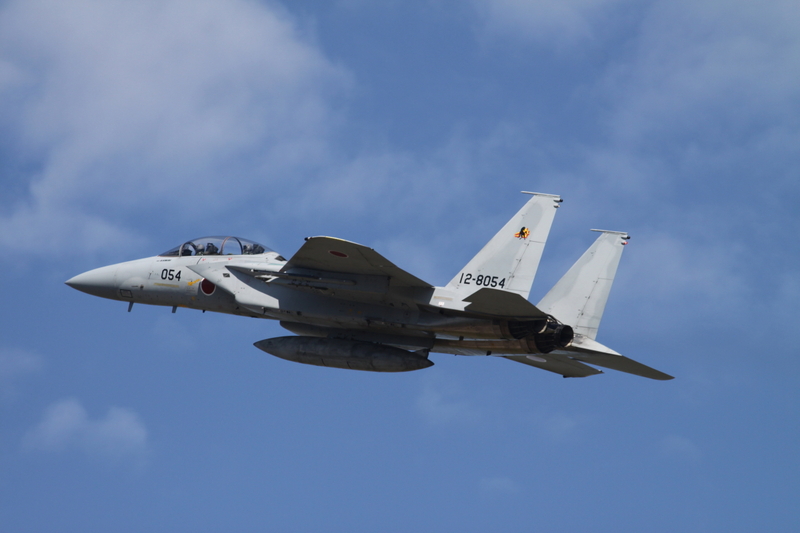 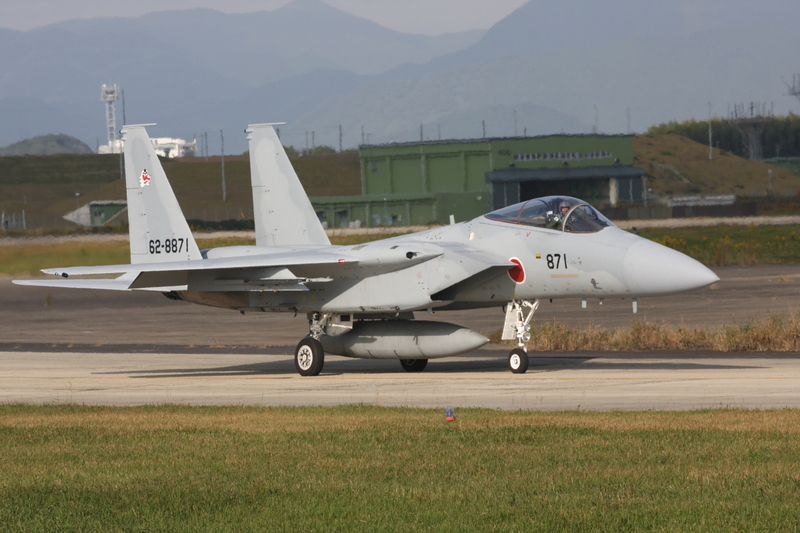 Next stop was Tsuiki airbase, located at the north eastern coast of Kyushu and home of 6 Hikotai, flying the Mitsubishi F-2 and 304 Hikotai, equipped with F-15s. 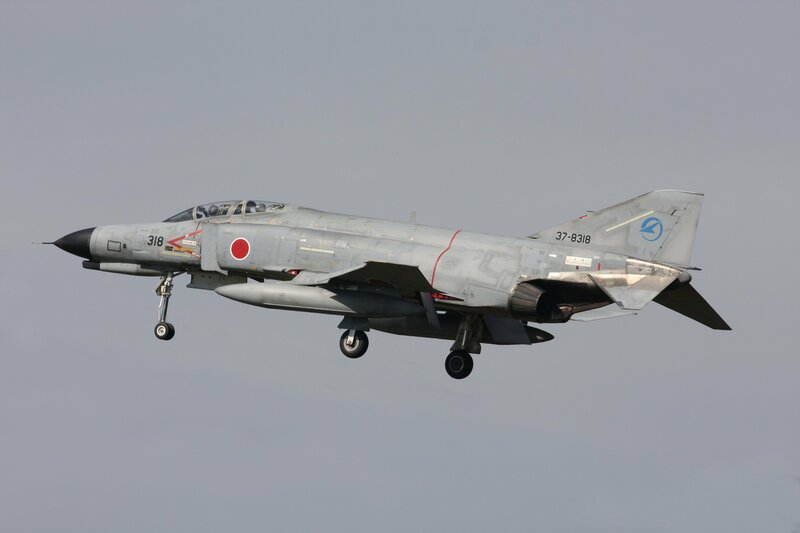 Tsuiki offers one of the most famous aviation photospots in Japan, because of its location at the seaside and because of the quay, a concrete steep wall of about 5 meters high keeping back the water and following the contour of the airfield. 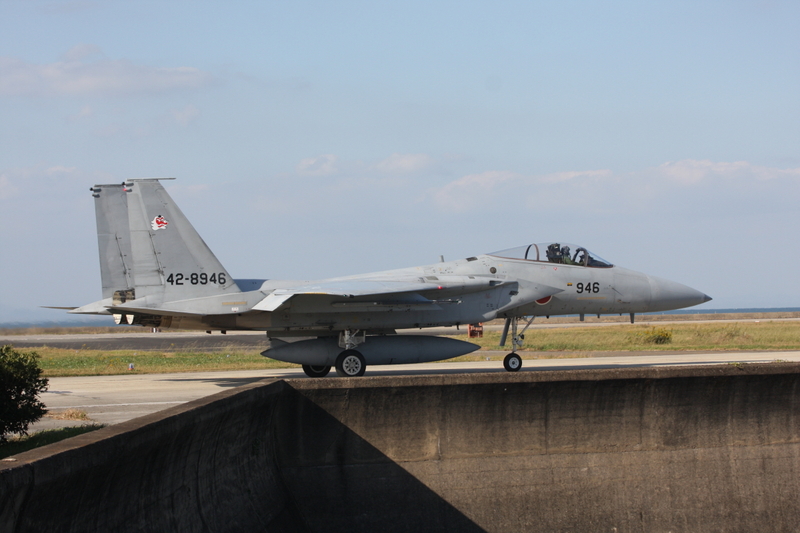 Standing on this wall one has a clear view of aircraft taxiing out to or landing on runway 25. 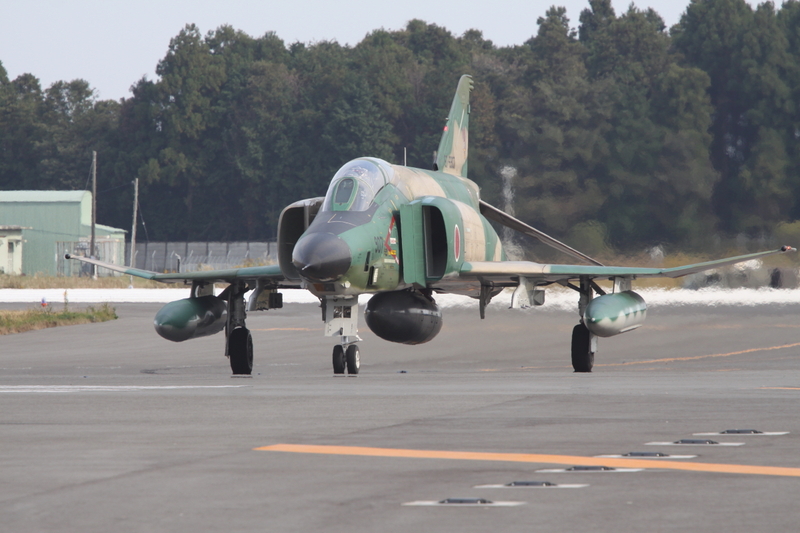 In case of eastern winds the same goes for aircraft taking off from runway 07 or taxiing in after landing. 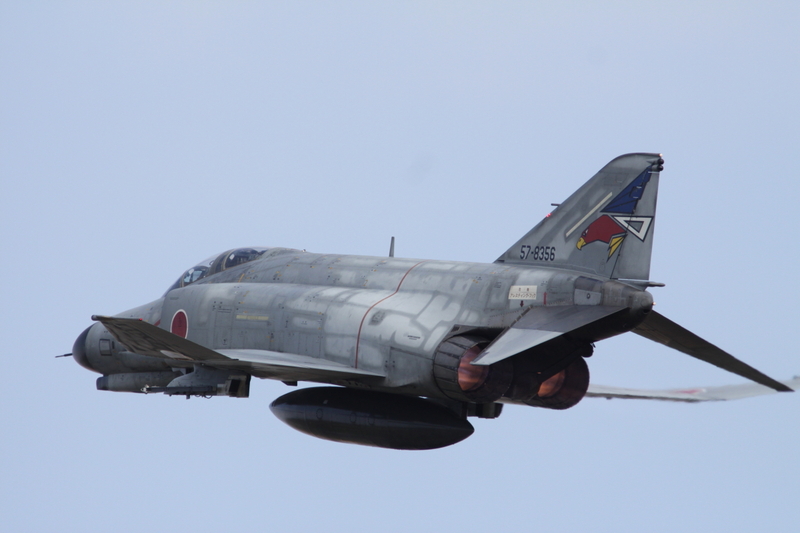 The ocean in the background adds for a special effect. 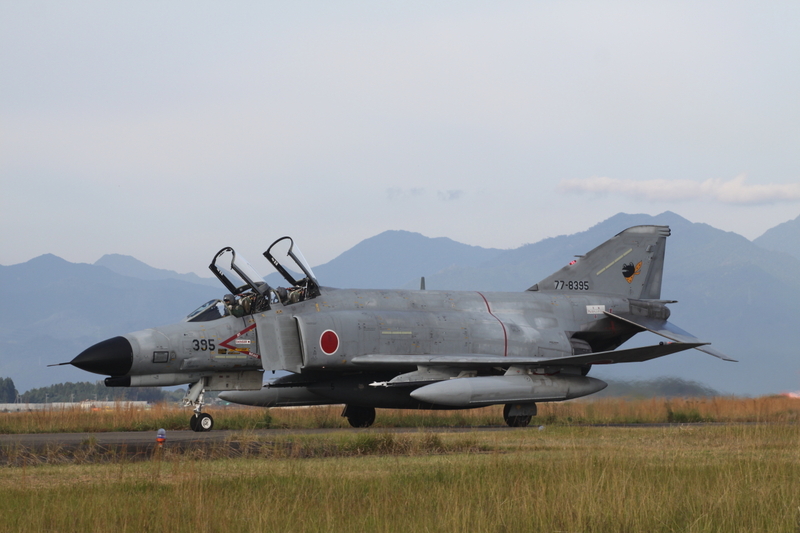 Day 3 brought us at Gifu, further north and located in the middle of the country. 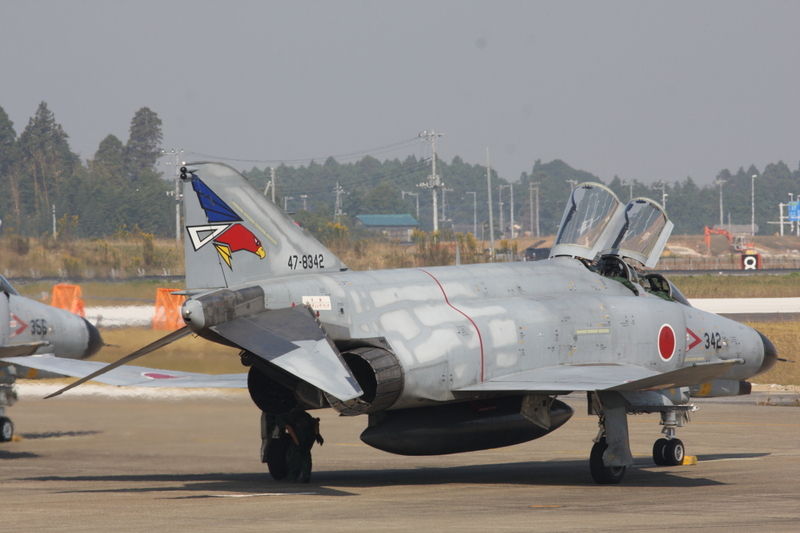 Gifu Airbase is one of the biggest of Japan and home of the Air Development & Test Wing of the JASDF. 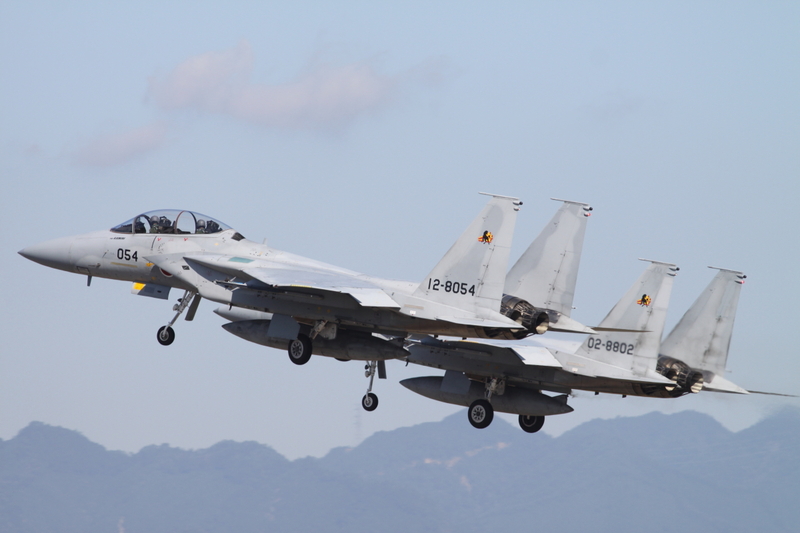 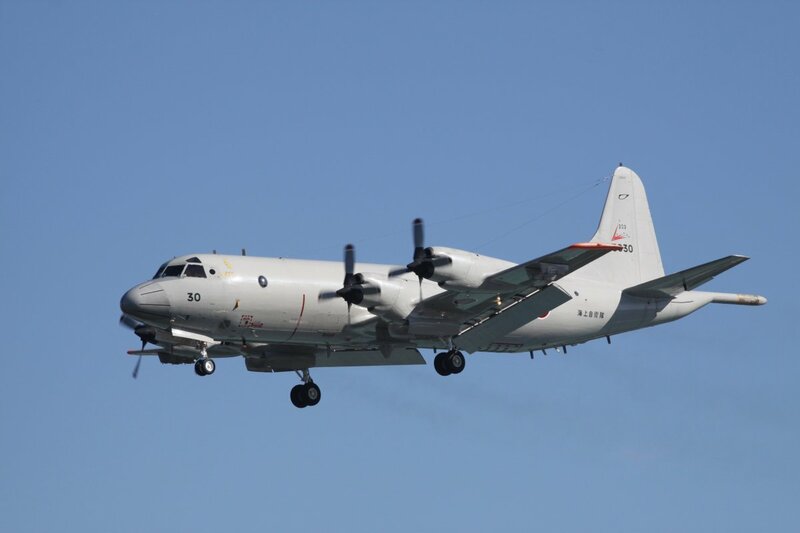 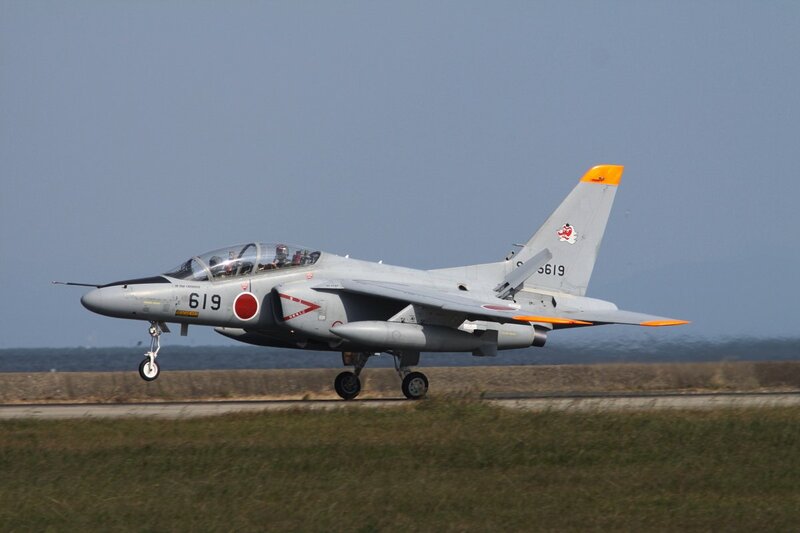 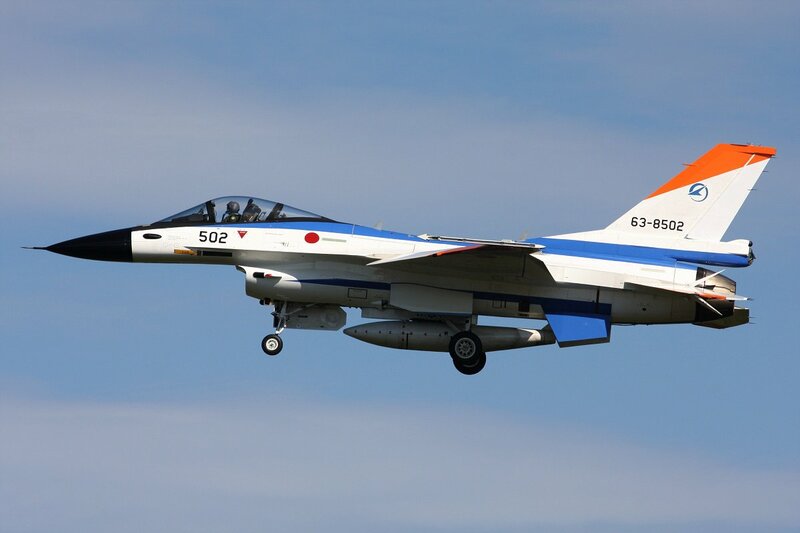 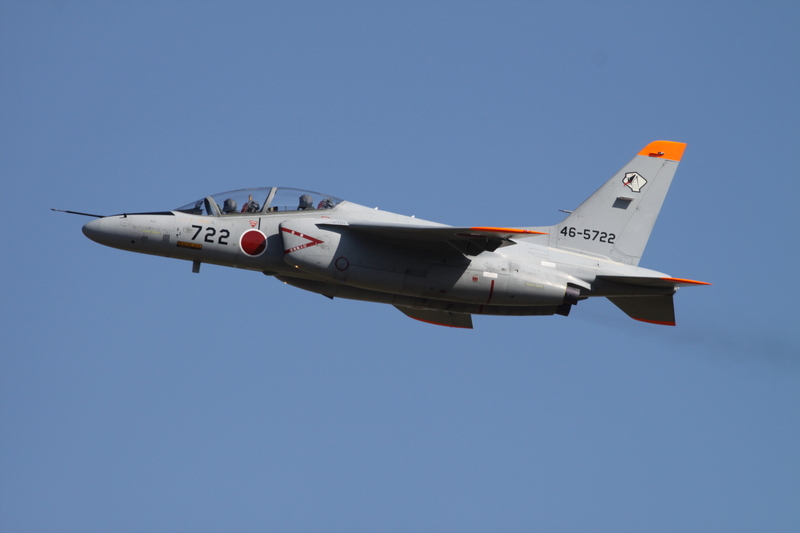 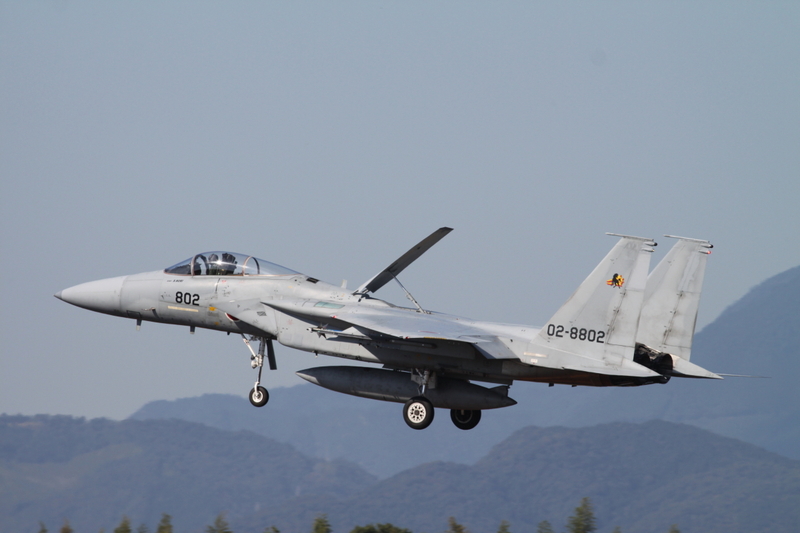 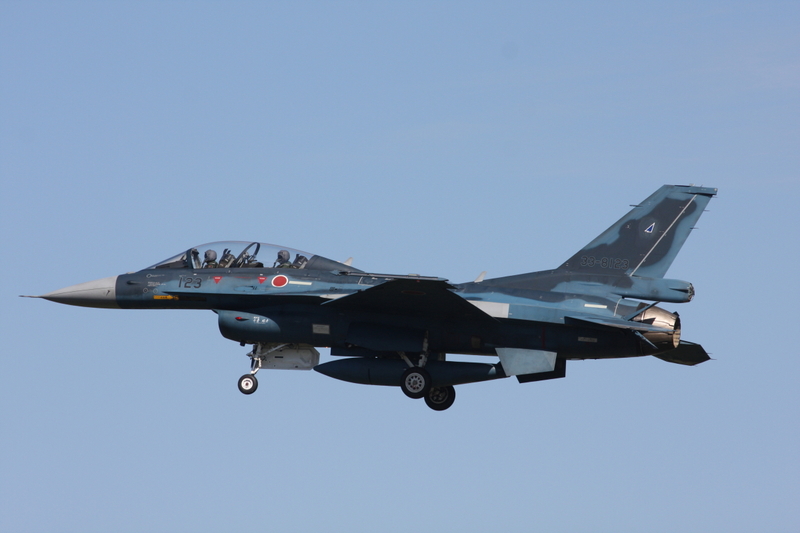 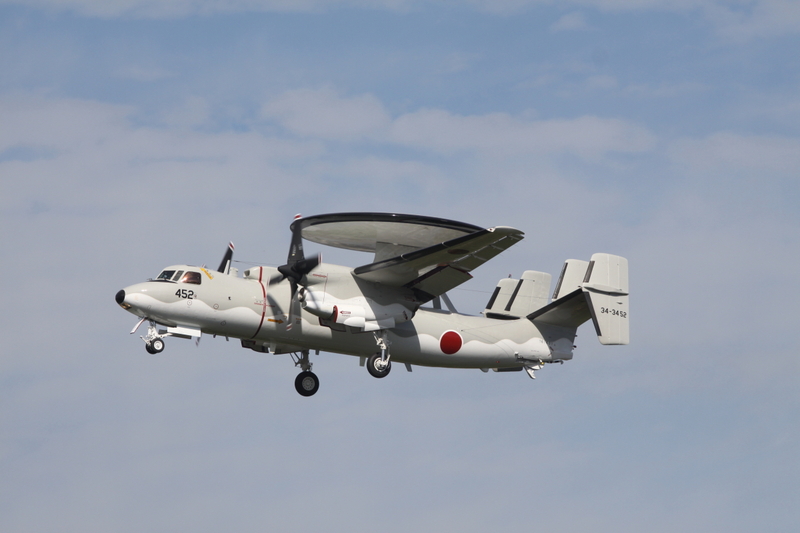 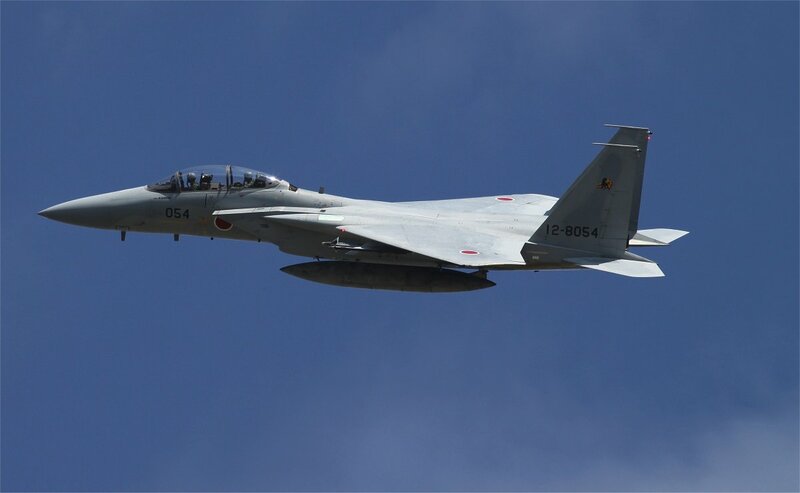 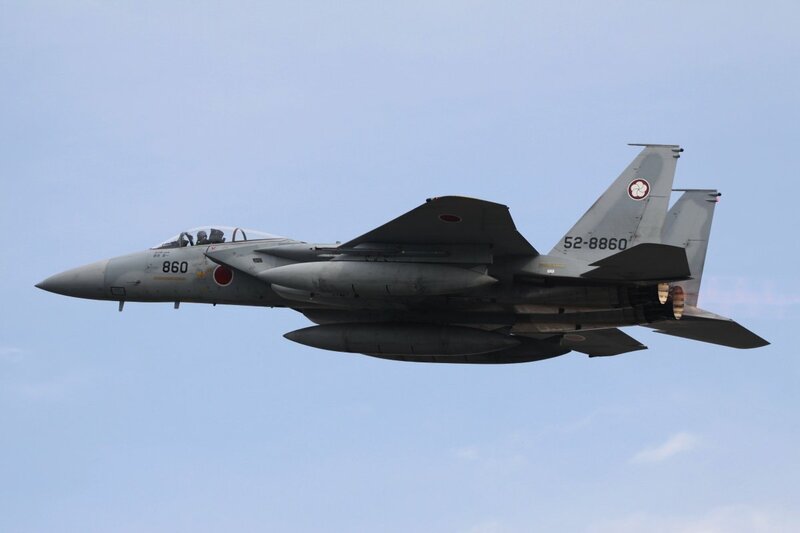 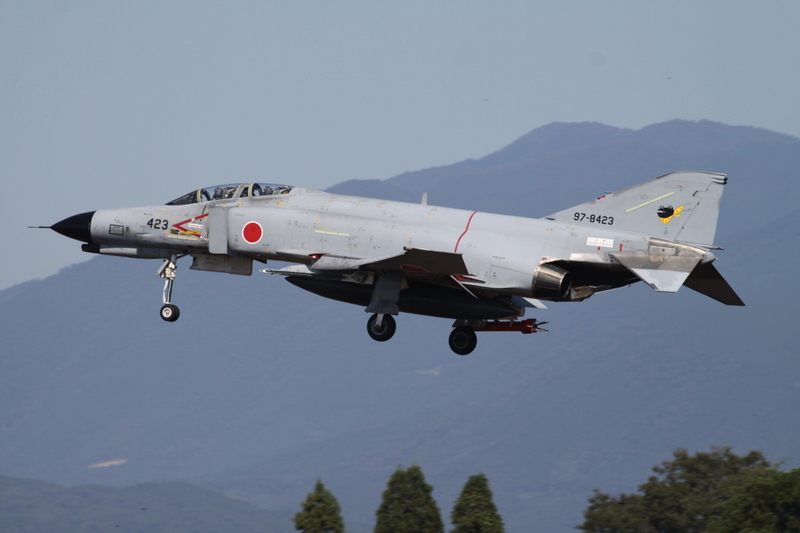 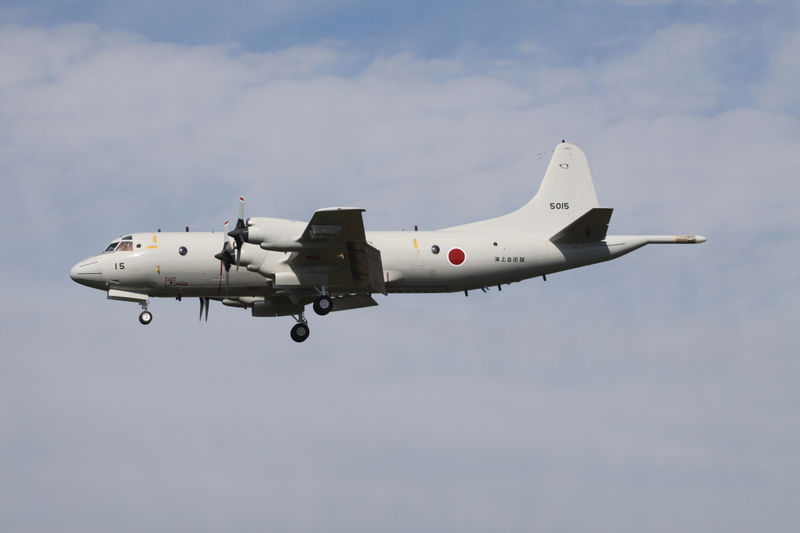 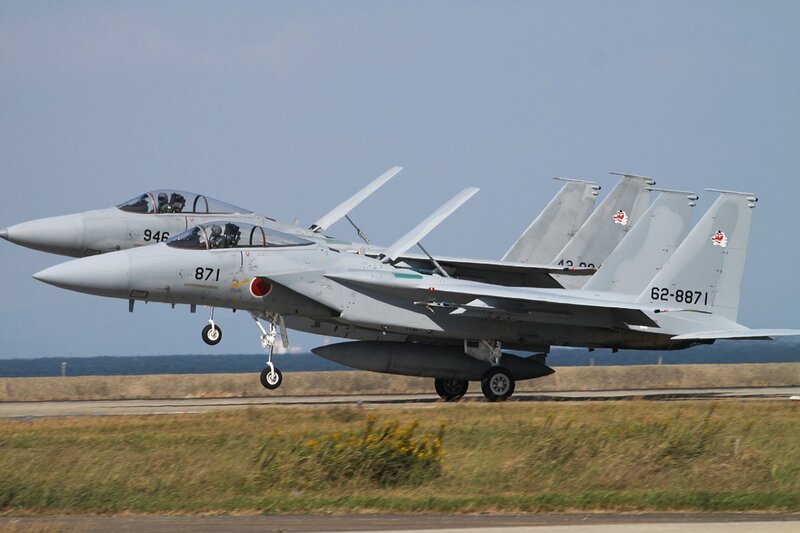 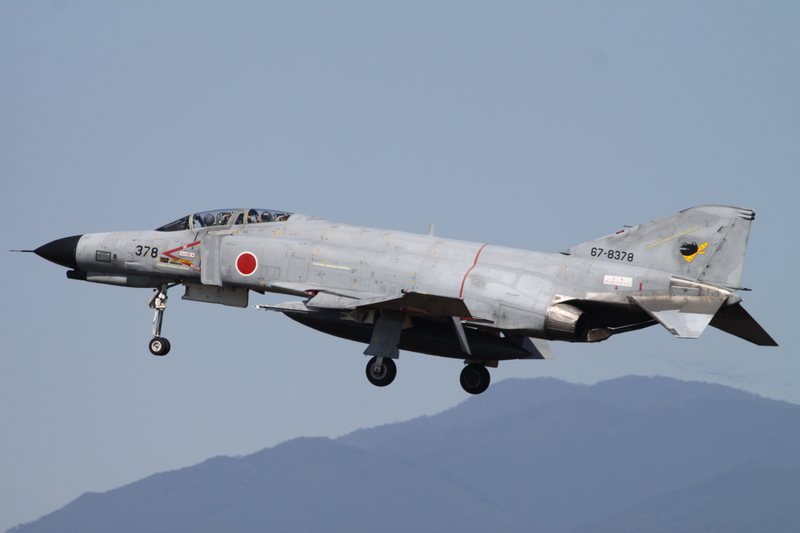 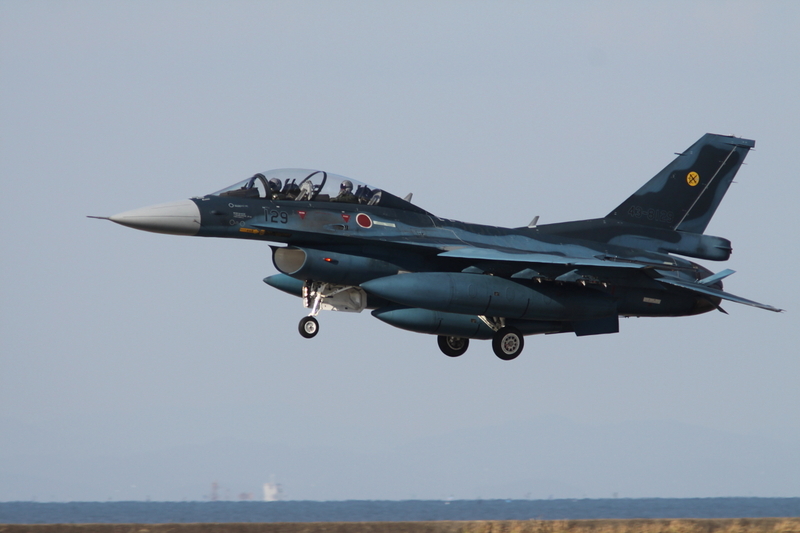 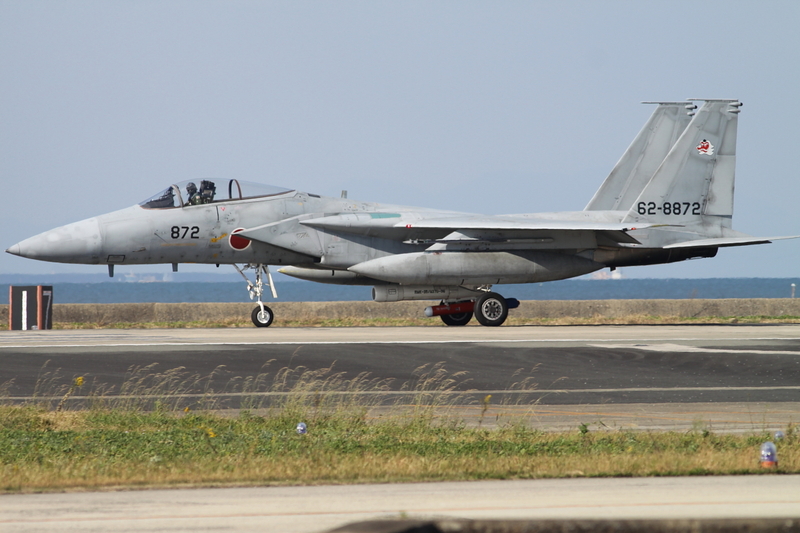 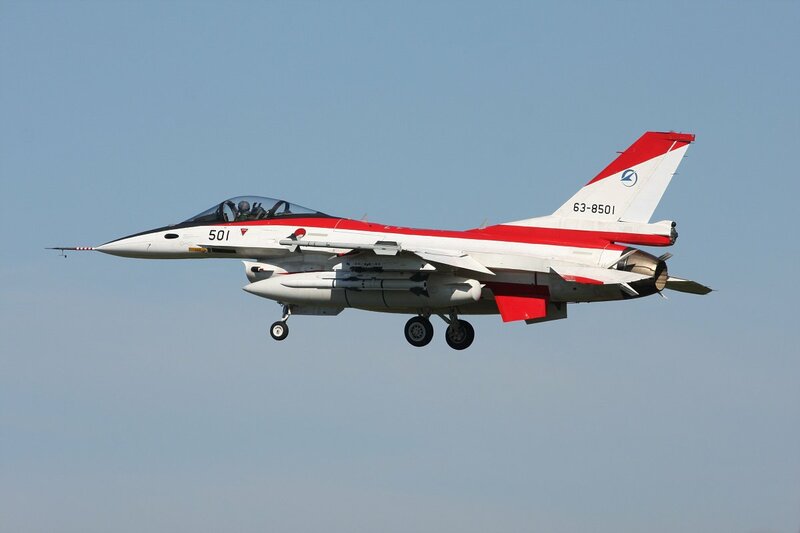 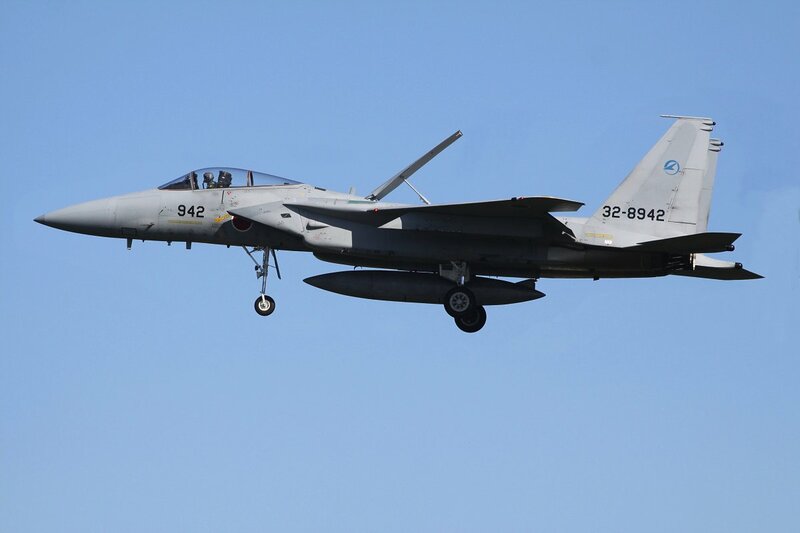 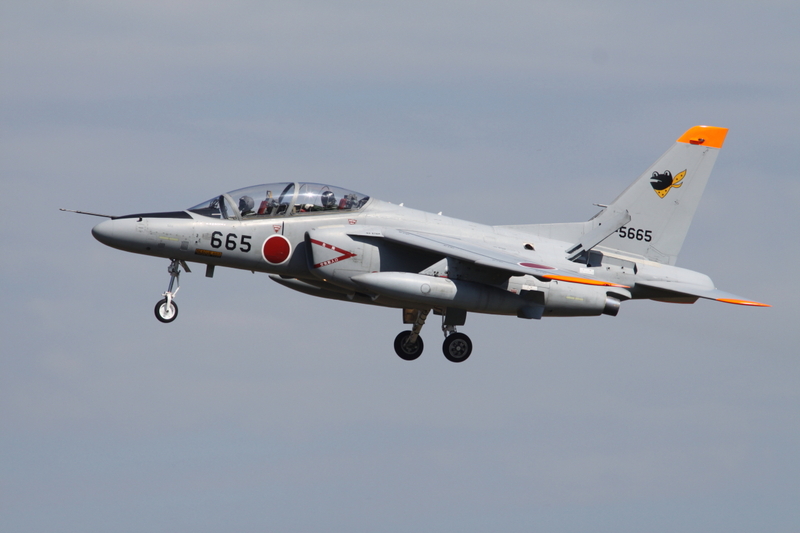 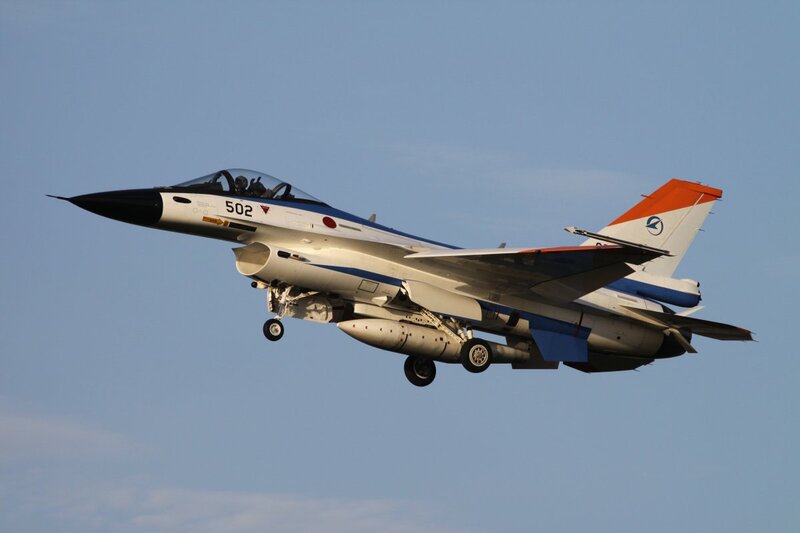 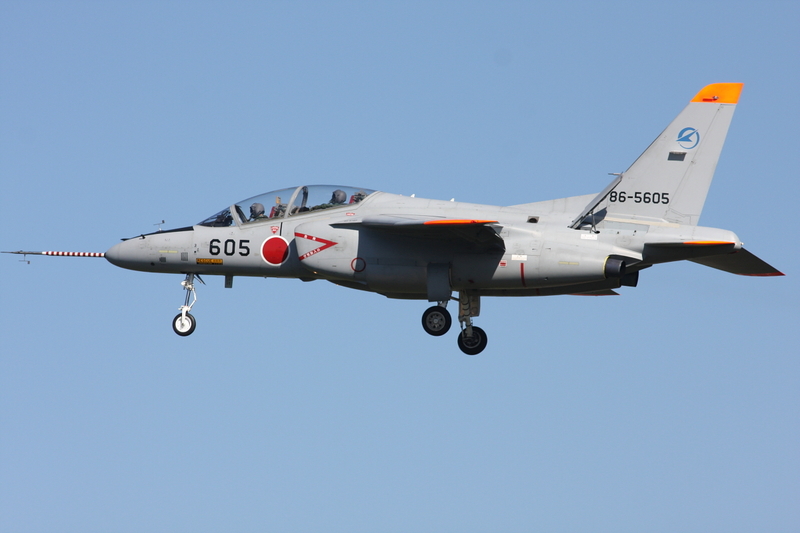 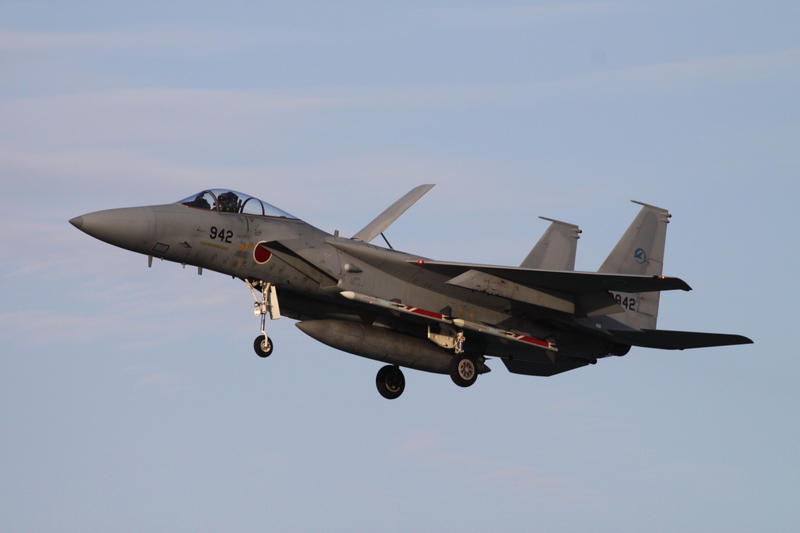 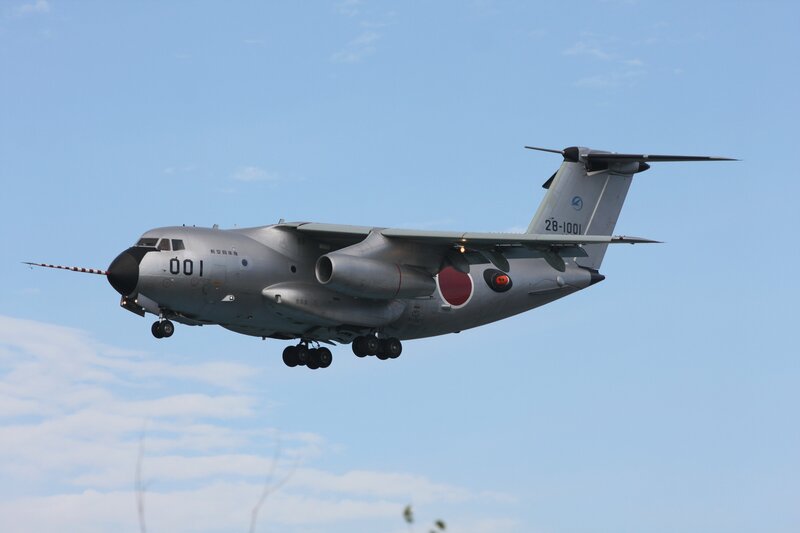 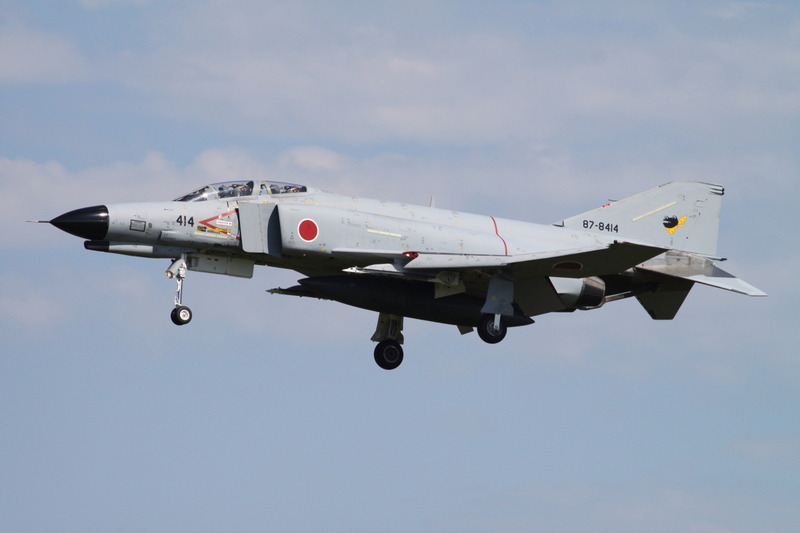 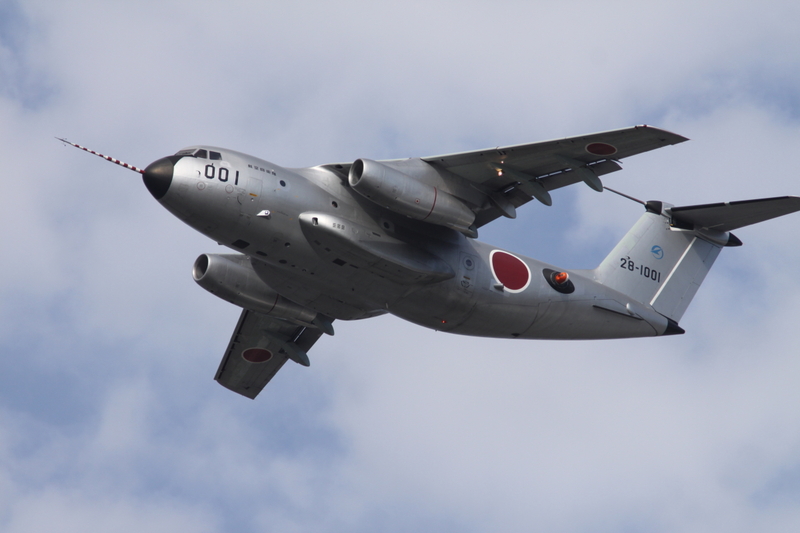 Equipped with all aircraft types in use by the JASDF or being previously used, this unit is also the first one to receive all new flying systems (UAV, bombs, missiles) before their delivery to operational JASDF flying units. 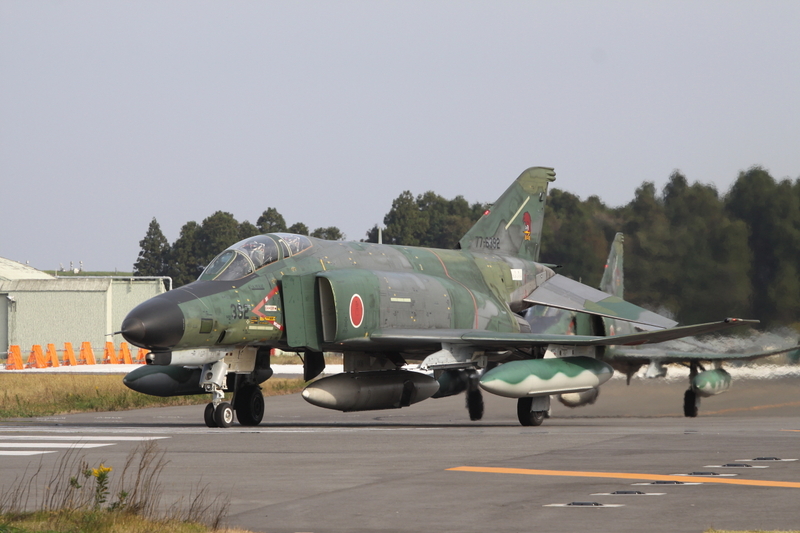 Local spotters told us the day before had been a non-flying day, but today was going to be better: “yesterday no fly, today many!”, and they were right. 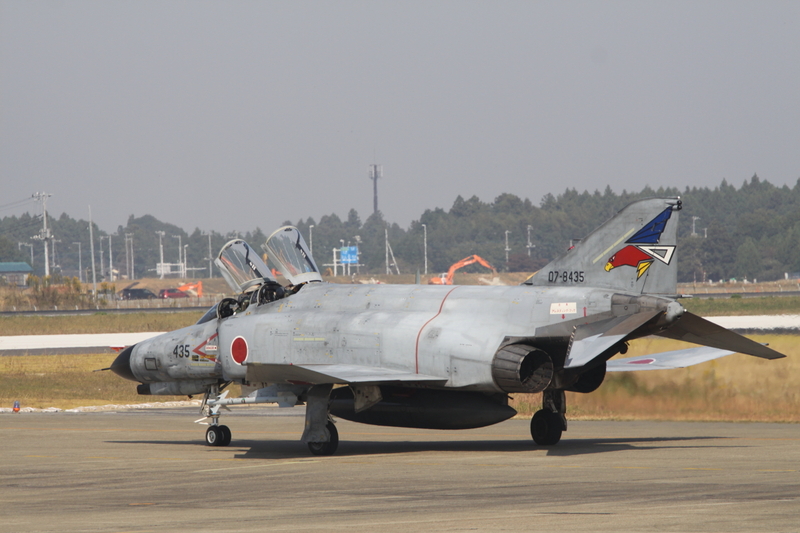 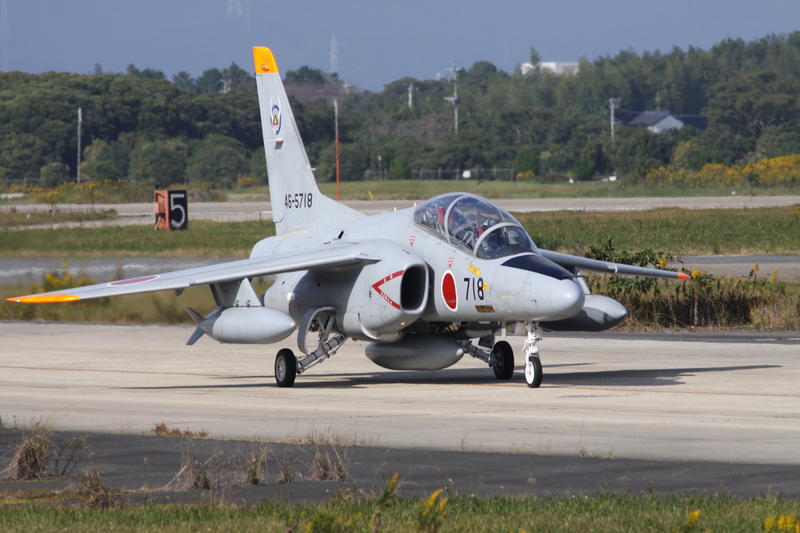 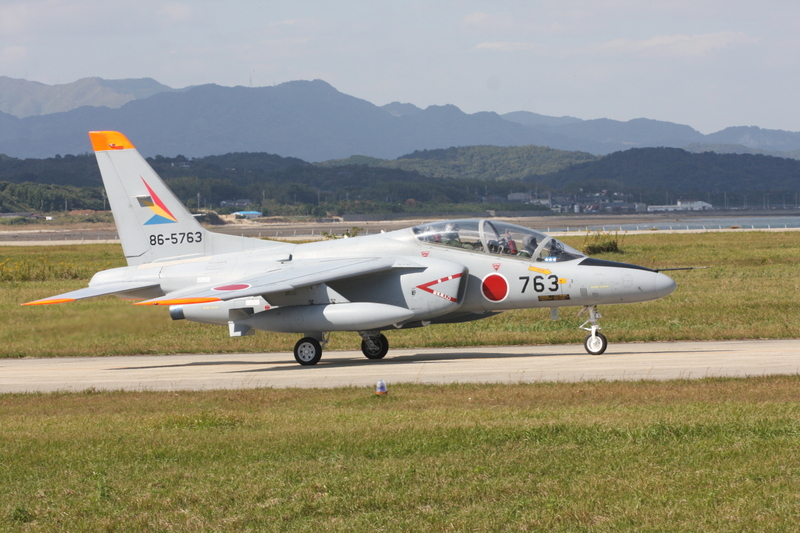 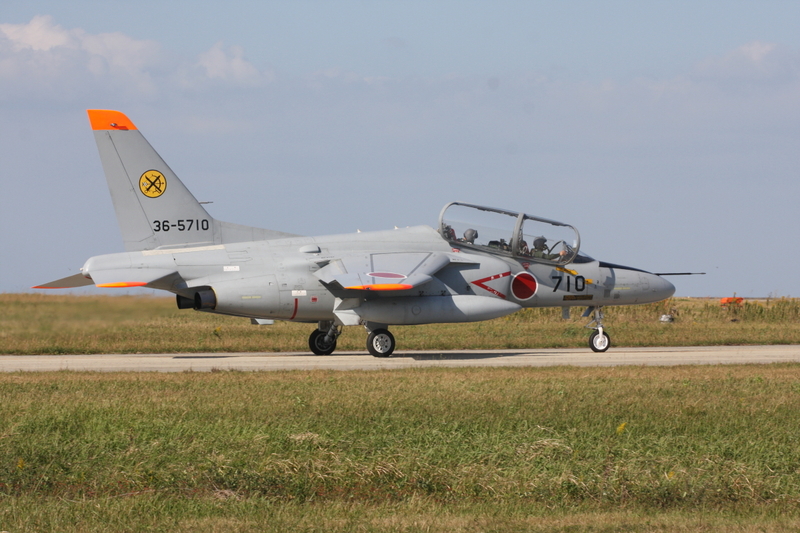 Never a dull moment at Gifu that day with several visitors from other fields and different test aircraft. 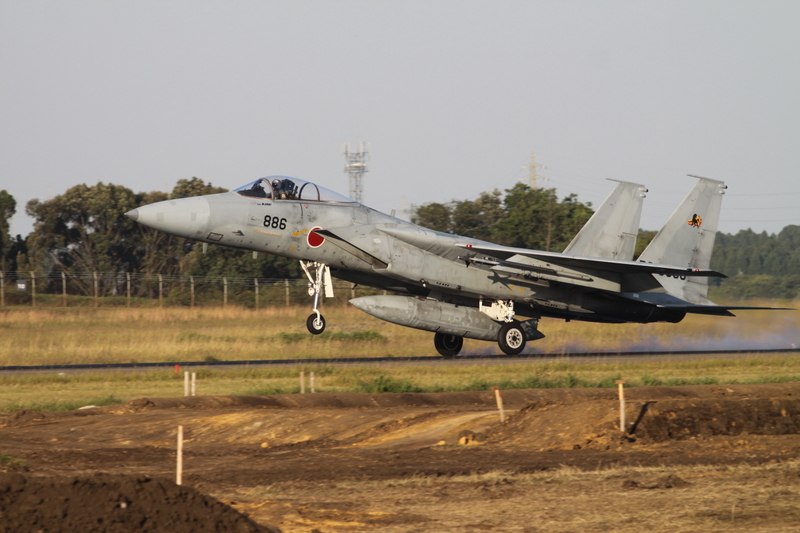 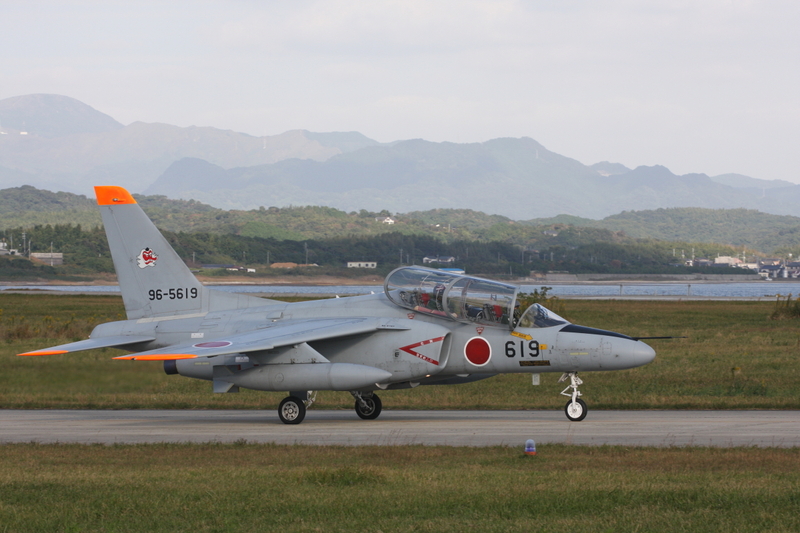 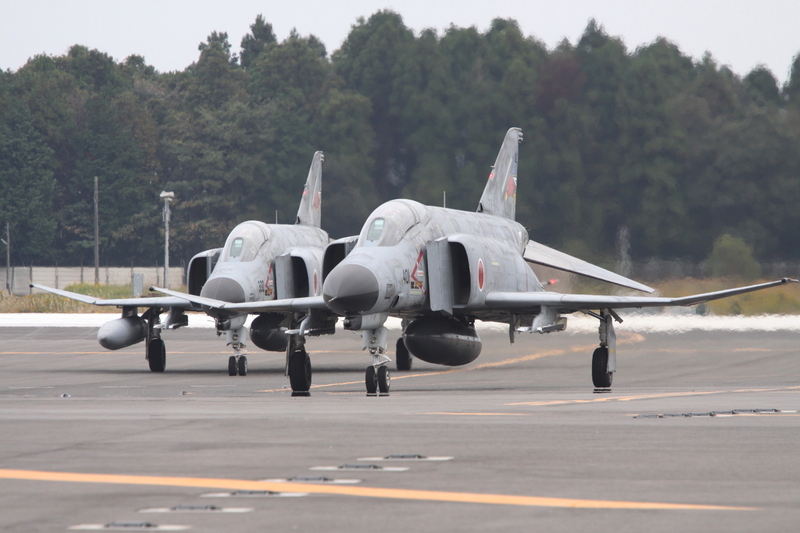 The last two days of the week were kept for what would become the highlight of the trip, Hyakuri airbase. 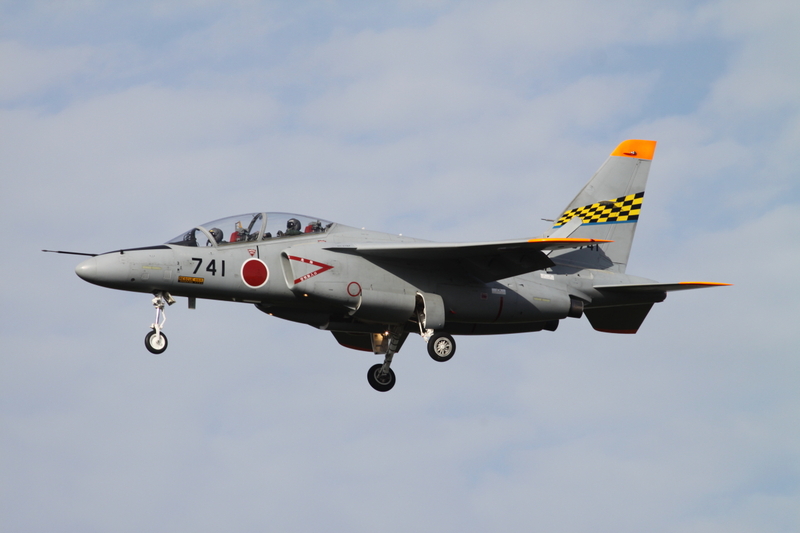 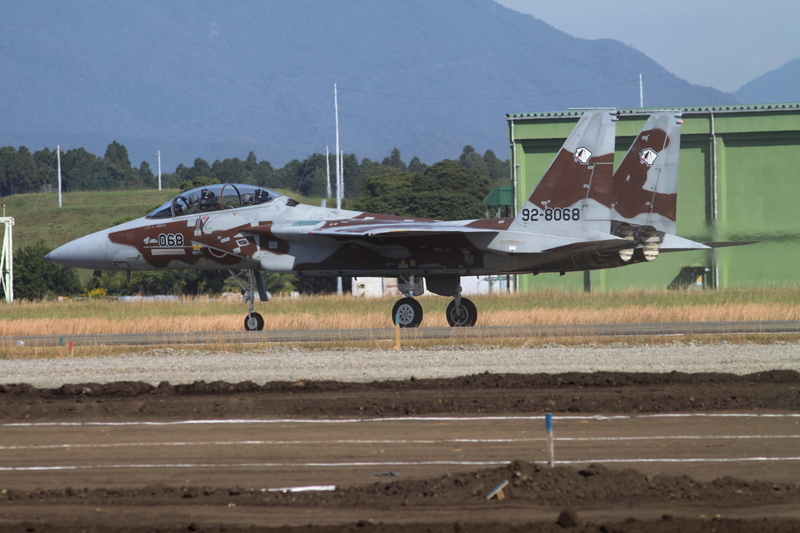 The JASDF base at Hyakuri, located north-east of Tokyo, needs no introduction to most people with a more than average interest in military aviation. 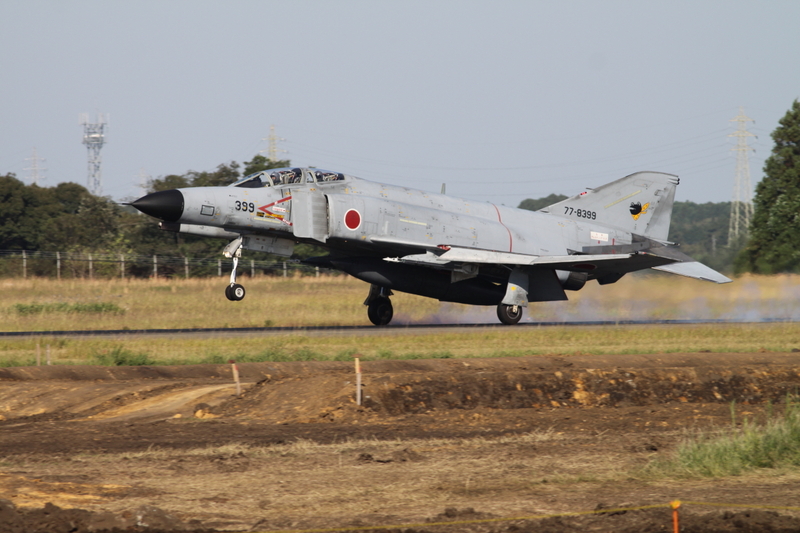 With three busy resident units and unrivalled photo opportunities, it is an airfield that is on the “must-do” lists of most aviation photographers.